"Solo Travel through Asia can literally drain a person's energy and boost it at the same time"
It doesn't matter how trodden down Asia has become with its endless impact of foreign visitors subduing it - there's plenty of space, and a ton of diversity for everyone. 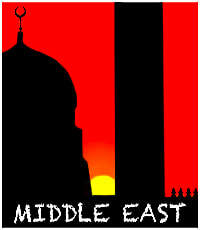 The gateway into Asia are many with a substantial mecca of crossroads from any direction that's chosen. The simple choice of bashing through the continent is by all means in favour for those that only plan a short duration, but cover as much ground as possible. Even a 12 month stint through the thick of it isn't enough time to complete the entire continent. 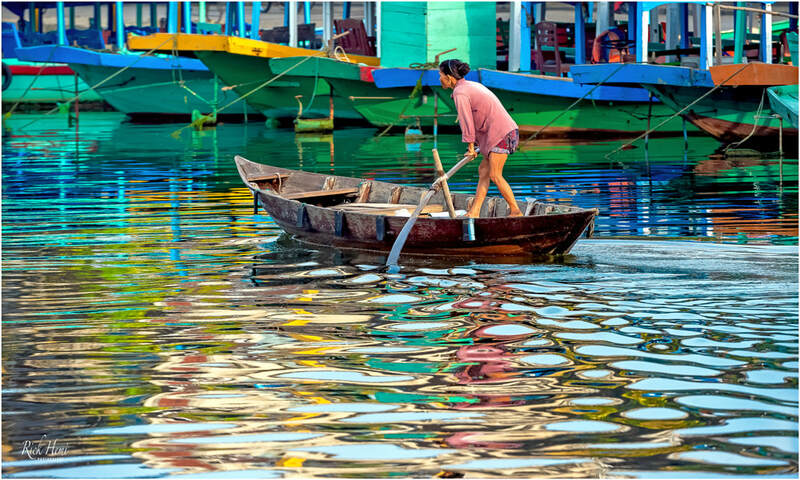 Asia's bucket list are scattered from one corner to the other with so many other hidden possibilities in between them. Overland transiting through a continent couldn't be easier with anything that has wheels on it heading in any direction. Hong Kong to Turkey, or Mongolia to Indonesia are relatively straight forward transits without too much fuss. ​​Asia's influence, and clash of cultures are unmatched for those who travel, and transit through the entire continent, and are well rewarded with visions lasting a lifetime. "The Options To Plan An Entire Solo Overland Travel and Transit Journey In Any Direction Is Possible"
Asia - a continent of escape for some, and a paradise of cheap shopping and beaches for others. It has everything beyond expectations that can literally drain a person's energy, and boost it at the same time. Those who enjoy to overland transit, and do the hard yards already know who they are, and what to expect from this diverse mixed continent that will either make or break you. The above overland transit map is one of many directional routes through Asia. The countless stop-offs, and detours transiting in either direction following the above transit route will easily clock-up 12 months of travel time. The timing of transit will also need to be optimised with seasonal weather patterns. What's what in the Transit Baggage page covers the basic necessities of different items that have a proven track record with my own approval rating. On any long-term overland travel, there's always the dilemma of deciding what photo gear to carry in transit. 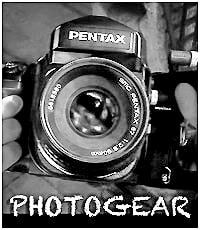 The Photo-Gear page covers a variety of new and classic Nikon equipment, and different accessories. Three main flight paths into Asia to begin an overland travel and transit journey through the continent are from the edges of Asia itself. Landing in Jakarta, Indonesia from the south and transiting northward is one option. Arriving in Hong Kong has an automatic bonus of duty free shopping before deciding to overland northwest towards Mongolia or to Southern Asia via Laos. Mumbai has always been known as a major landing hub for those who begin an overland journey starting from India. The opportunity to cross into Pakistan to transit north into China is open for those who have already been granted the appropriate visas. The Indian Myanmar border crossing at Moreh may or may not be open depending on insurgency issues. 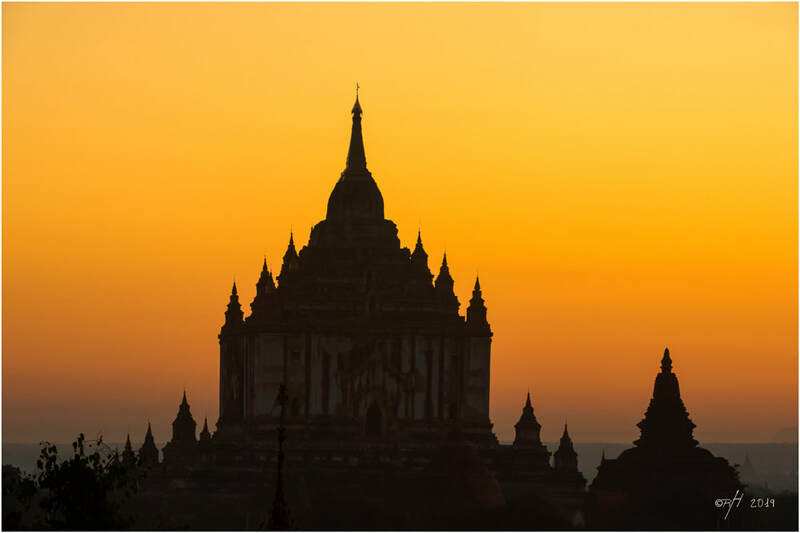 Applying for a Myanmar visa in advance with the right permits to cross overland before arriving in India is recommended. It's also possible to cross from China to Myanmar, but permits and paper work are necessary for most foreign nationals transiting in the other direction which can be time consuming for some until rules and regulations are relaxed. It doesn't matter which airport hub one arrives into Asia - you'll need plenty of time to complete the entire north and south east of Asia if transiting overland is completed without taking any internal flights. Over-landing from Europe to Japan has been around for decades, this also includes both transit routes through and above the Middle East into China and India. The new open border policy between India and Myanmar was officially opened in 2018. From Japan, ferry boats to South Korea sail every week, there are also ferry sailings from southern Kyushu at Kagoshima port to Okinawa with connections to Taiwan and onto China. Ferry boats also shuttle back and forth between Taiwan and the Philippines. Reaching Malaysia from the Philippines can be done from Bataraza, Palawan by fast cat ferry sailing to Kudat Port, Malaysia. Spending 2 or 3 years travelling through Asia clocks up fast. Long-term travel will also need a healthy cash flow to cover costs for accommodation, food and transportation. Doing Asia on the cheap can still be done, although this will depend on personal taste and choice of travel. Couch surfing, and having a large list of Asian contacts will certainly go along way. Cycling and hitchhiking through Asia has always been a favourite way to slowly get through each country, but fitness and patience is required. The easy laid back lifestyle camping and beach crashing along the coasts, and free-diving catching fish for daily meals can literally stop anyone in their tracks for months on end. The most important thing is not to run out of money in Asia. This has been an issue for years with western foreigners arriving into the continent on the smell of an oily rag. Those not wanting to return to their home countries will try desperately to find ways to extend their stays as long as possible. Working in Asia with the right qualifications will guarantee a job with a steady cash-flow, but being employed will put the brakes on any overland travel. One can always try the travel blogging addiction to earn a crust - good luck with that. Becoming a digital nomad is another option with many making Bali their home base, but factual data suggests only 20% of the digital nomad world make it past the threshold of survival. Asian tourist visas are still cheaper than African visas with only Bhutanese visas being above the roof at $230 US per day - which is a total ripoff, even if it does include hotel and guide costs. I wonder how Bhutanese passport holders would feel paying the same fees in Australia, Europe or the US per-day Bhutan has a multi-billion dollar debt with the IMF, so the country has to come up with ways to pay their loans off. 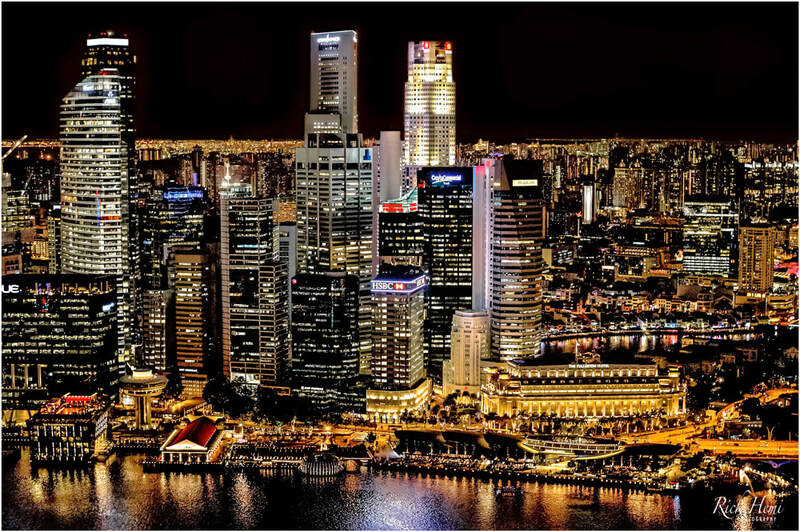 Creating a business in Asia is another alternative to remain in a constant limbo, thus establishing a home-base somewhere within the continent. Many foreigners set-up trendy bars, meditation centres, pizzerias, or hotels catering for the tourism industry. Scuba dive shops are plentiful, along with trekking, hiking and mountaineering tours. Finding that niche market to cater for only short time periods, and to be free for 9 months of each year is what everyone is looking for. There are also the individual tourists who look for an easy way out when their cash supply runs dry. There have been many methods over the years to smuggle heroin, cocaine, meth, and hashish out of Asia, but the majority of tricks that have been used to smuggle drugs are well known to airport drug officials. An example of late, which has actually been around since the 8o's to get narcotics out of the continent is through the standard postal mail service. India has recently clamped down on this old method by opening packages (no matter the size) and inspected. Foreign visitors who have been caught doing this in India are now serving 5+ years in a jail cell. Nepali land border crossings with India have there own custom controls and randomly target foreigners when leaving Nepal. Their drug searches are intense, and they do use dogs at certain check points. Many foreign tourists have been caught trying to smuggle hashish across the border into India. 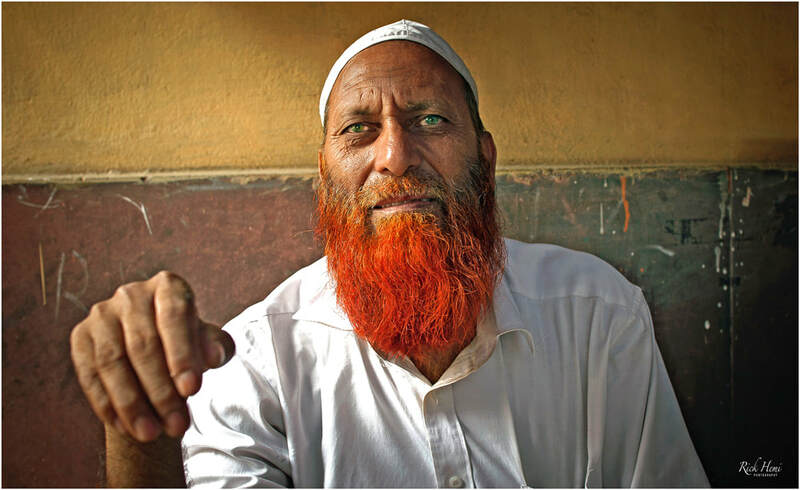 India has a severe land border customs control on the Myanmar border exit crossing. 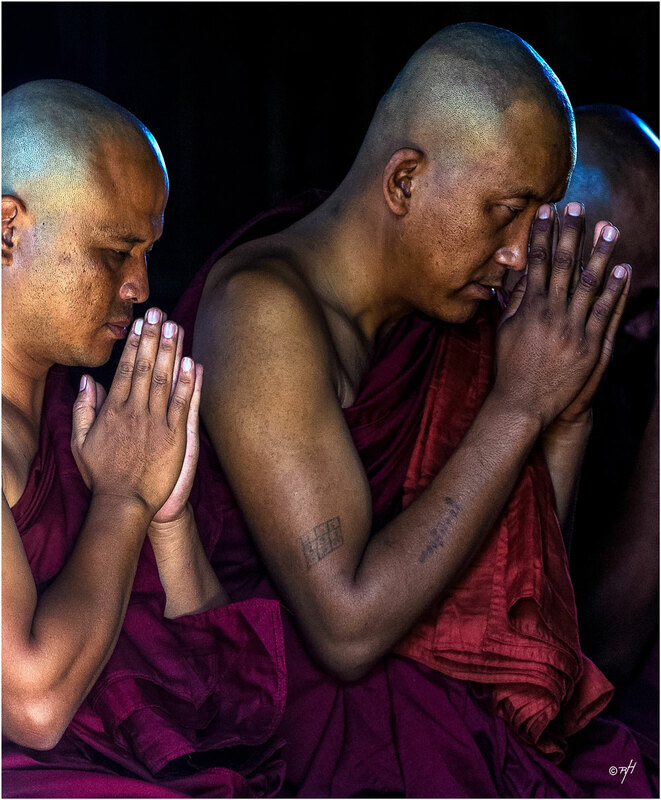 Myanmar is well known for their narcotics, emeralds, jade and gold smuggling across the Thai border. Burmese opium, meth, and heroin labs transport their narcotics overland through the Chinese, Laotian, Indian and Thai land borders using their own routes and drug mules. Pakistan has had a heavy customs control along their NWF region bordering Afghanistan for decades. Afghani heroin, hashish and opium drug lords use the Pakistani frontier to smuggle their narcotics by any means onward to Europe, Asia, and the Middle East. Thailand is a huge snare den filled with foreign drug smugglers. On the outside Thailand looks as if it's one of the easiest countries in Asia to smuggle drugs to make a quick fortune, but it's certainly not that way at all. Snitches, the underworld, and undercover narcotics police work hand in hand together busting foreign tourists even well before they reach Bangkok airport to fly out. I remember vividly on one occasion looking for a place to sit and chill in the Bangkok duty free departure lounge. A three seater that was positioned beside some large bay windows had 2 empty seats. When I sat down, I noticed that the foreigner (a US citizen) who was already there was handcuffed to the arm of the lounge seat. Of course, I had to question the dude why he was handcuffed to the chair. He replied in a soft voice that he had just been busted trying to smuggle 3kg of heroin back to the USA. I had no pity on this guy, and told him I hope you survive your next 25 years lifting, and carrying a 10kg ball chained to your leg every time you need to walk around inside Bang Kwang jail. China is now the largest producer and supplier of cannabis in Asia which has now thousands of hectares of land that's used for cultivating legal cannabis. The global demand for hemp is mainly used for textiles, and for treating various types of sickness such as Parkinson’s disease and epilepsy. Wild hemp in Asia has been around for centuries, and can be easily spotted growing in or beside cultivated farm crops, or within mountainous regions in Nepal, India, and China. The lucrative business of illegal cultivated hemp has also had it's own supply and demand throughout the continent - especially in India and Nepal. 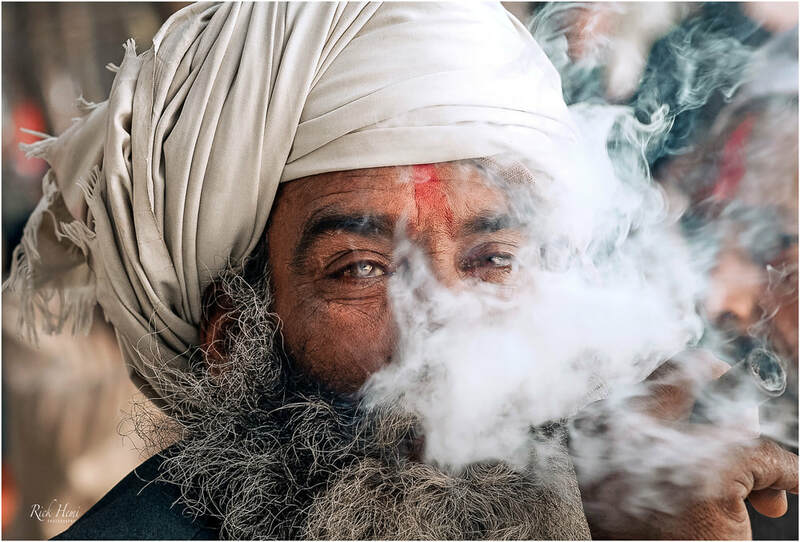 Since the hippie era of the 60's, there's always been a grey area for foreign tourists smoking gunja and hashish in Asia, but this also depends on the region, and the corruption levels which vary from country to country. Bribe payouts are common practise used by underpaid police looking for a quick cash surplus, which sometimes can amount to a hefty amount of cash if caught and searched - even for a single joint. This can be researched through the endless amounts of Google pages from foreigners around the planet that have been caught carrying small personal quantities of green weed or hash in Asia. 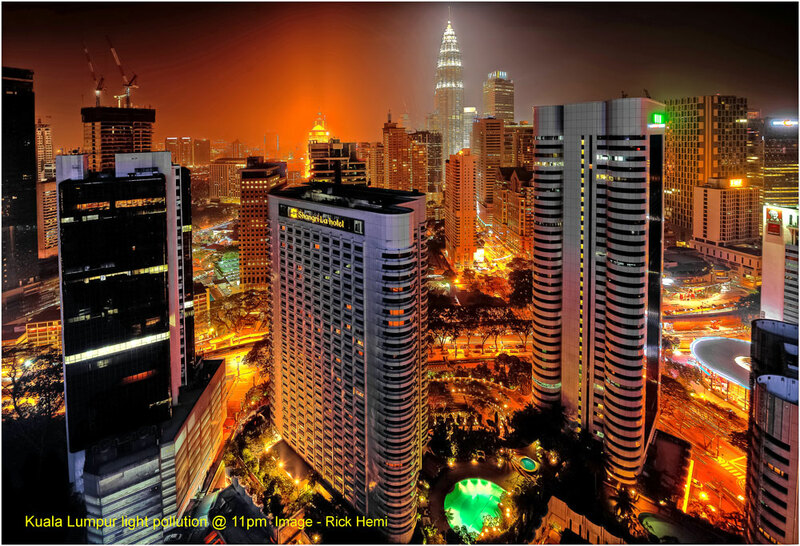 The image below is an escape from the Kuala Lumpur central district by local metro to the last stop. It's a Hindu temple complex in rural surroundings with it's own unique cave complete with Hindu idols, buskers, including plenty of monkeys. Image captures are overflowing everywhere where one looks throughout Asia. Street photography is in your face as soon as you wake up and head out the door in any direction. When the hustle and bustle of street activity wears thin, then escaping out of town to an isolated temple, or to close-by paddy fields are two great places for rural photography, and to chill out for the day. Most short journeys out from large Asian cities are rewarding en-route of the quick changing environment from urban sprawl in to slow pace rural lifestyles and living. 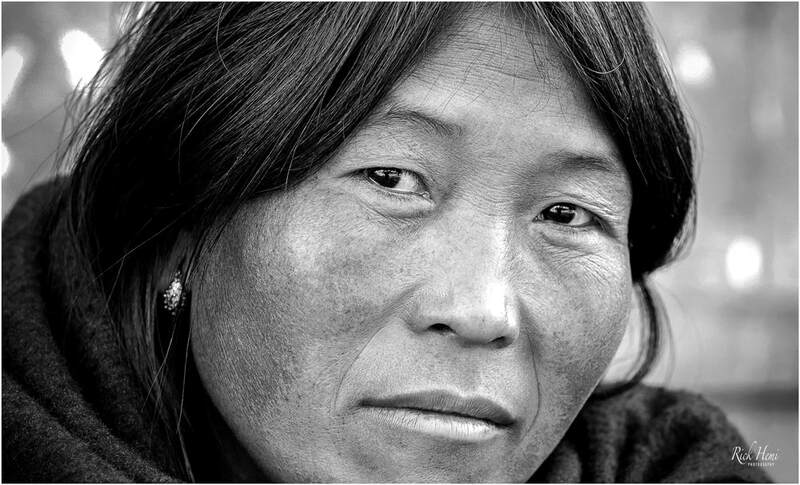 ​From the Himalaya down to the Chinese sea coast the rewards of random street photography are endless. Actually, there's no excuse whatsoever to find something that's appealing to capture through the lens. The continent has an abundance of raw vivid landscapes with an overflowing variety of different ethnic cultures with their own integrated belief systems. Among all these different diversities, it's here where street photography shines mo-matter what or which subjects are randomly chosen. 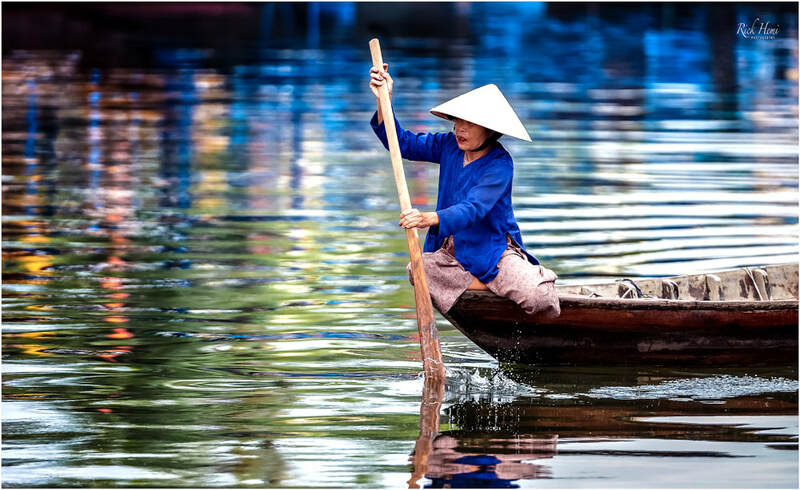 Asia is certainly one continent that offers any visitor to capture great street snaps without too much hassle at all. Everyone has their own unique style and flair in street photography, these two image examples were both taken using a tripod to lesson vibration. Carrying a tripod through Asia may sound like overkill, but it does alleviate issues with blurry out of focus captures. Through the years of overland travel, I've learnt to appreciate the positives of carting around a tripod which limits the amount of out of focus image captures. Don't even think to travel through Asia without having a camera close-by. Different opportunities arise everyday to capture candid snap shots on the go. Whether it be at local markets, on the street, or during transit, a camera will spend most of its time getting used. The choices of camera-gear starts from an up market point and shoot, any M4/3, or full frame DSLR. This is one item that should be thoroughly researched before splashing out cash. Usually, the more ones invests, the better the image quality is. Quality brand cameras and camera lenses are well worth their cost if long-term travel is planned. Smart phone cameras can't match the quality of most full frame lens. 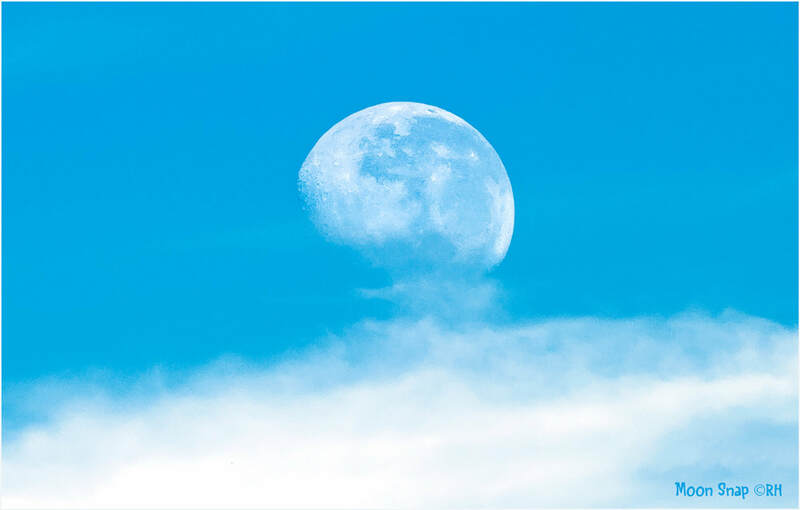 For instance, the image above was captured not long ago with a 1993-05 Nikon AF 28mm f/1.4D lens. The optic quality in some older lenses are as good or superior than many lenses that are sold on the market today. At the end of the day, it's all about affordability and what can be found new or second-hand that will produce great looking street-snaps on the go. Below, a Tibetan dressed appropriately in mid-winter wearing a thick coat made from local yak skin. Yaks are used for ploughing fields, transporting goods, their meat, hides, fur, and everything and anything else imaginable, including their dung which is the only source of fuel on the Tibetan plateau. Getting amongst wildlife through south east Asia is relatively straight forward with most countries having their own national parks. 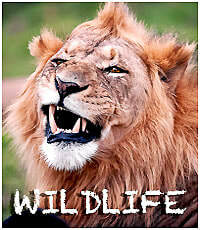 Indonesia, Borneo, Malaysia, and India are well known for their exotic wildlife sanctuaries which are easily accessible. Depending on the time and season transiting through Asia, migratory birds can also be seen which return every year in the thousands from around the planet. On visiting any wildlife sanctuary, a pair of mini binoculars is recommended for spotting and viewing. As for photographing animals, and bird life, a lens with a minimum of 400mm focal length is necessary to render satisfiying shots. Point & shoot cameras, and cell phones may capture some close-up shots, but definitely lack the power range, and quality optics of semi/pro photo gear. 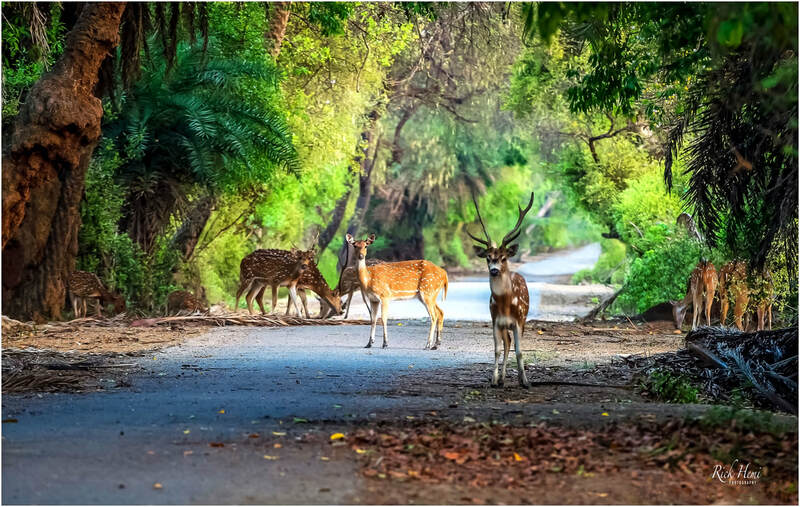 Many parks have their own guides who usually know where all the good locations are to get as close as possible to wildlife. The image below for example was taken from 75+ metres, and the deer could hear the shutter of the camera from this distance. If the deer had seen me, or if I had moved around they would have bolted back into the bush. The lens focal length was @ 340mm with the ISO pushed to 2500 due to low light, which was the only option of increasing the shutter speed to retain the depth of field, and minimise blurry exposures. 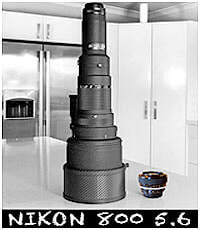 The overland travel & transit Photo-Gear page has plenty of information on Nikon lenses. 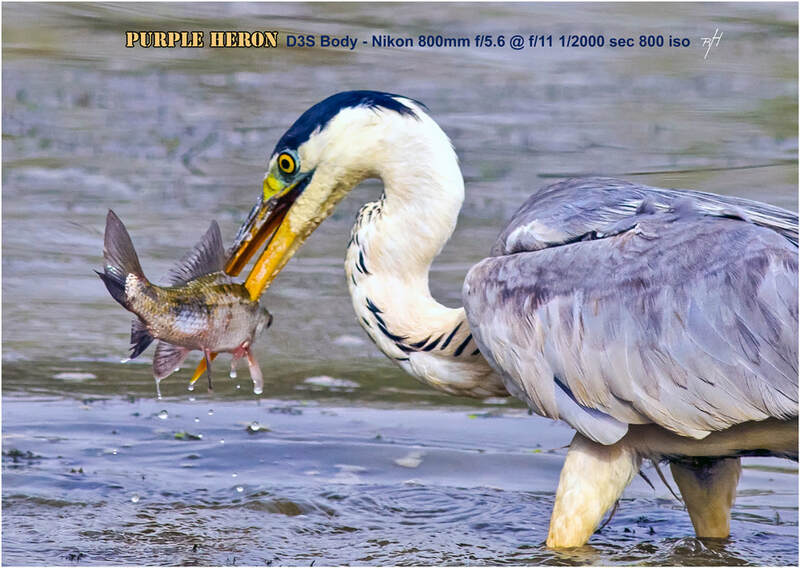 Action captures of birdlife like the purple heron below can be done during migratory periods within wildlife parks and sanctuaries throughout Asia. Where does one start? 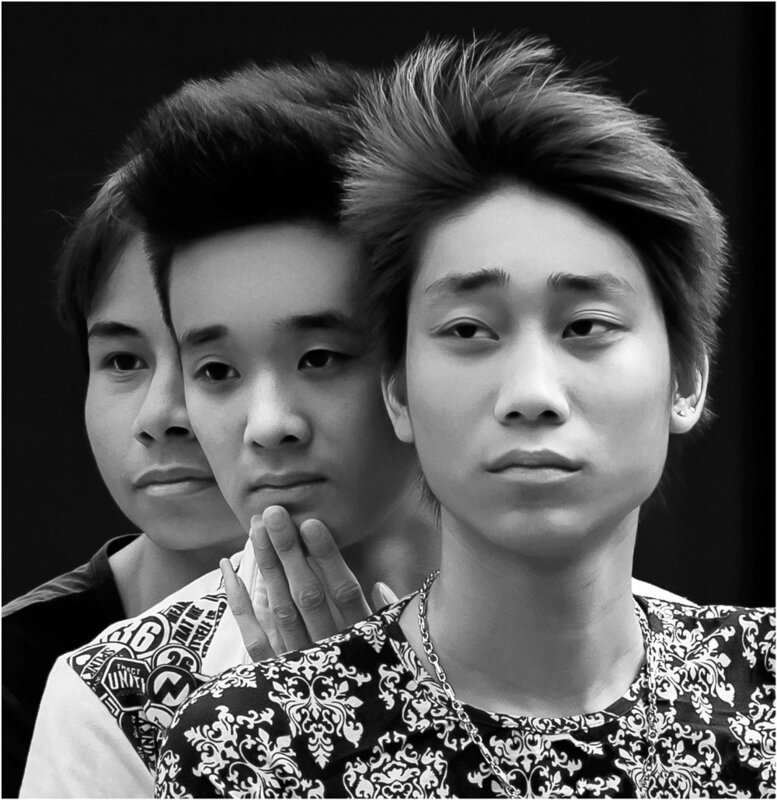 The faces of Asia are many and one of the prime subjects in random street photography. 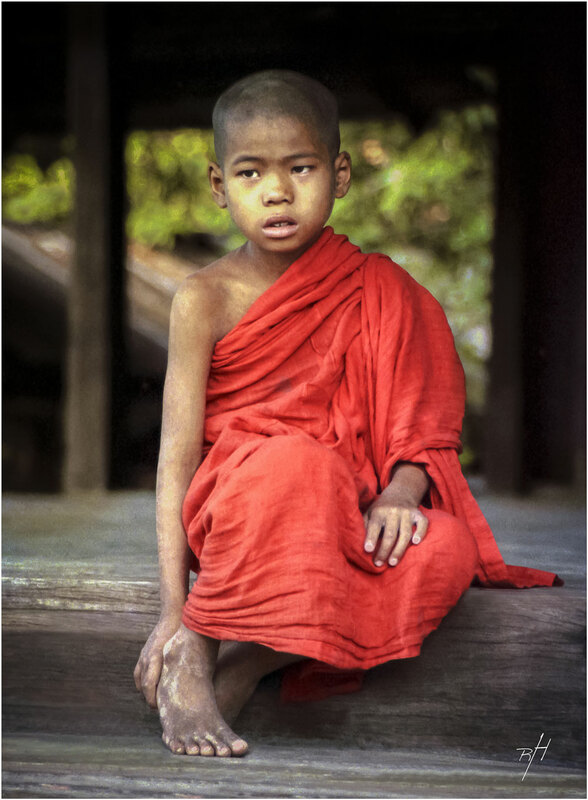 Roaming through city streets or isolated rural villages in Asia capturing portrait snaps is both simple and rewarding. 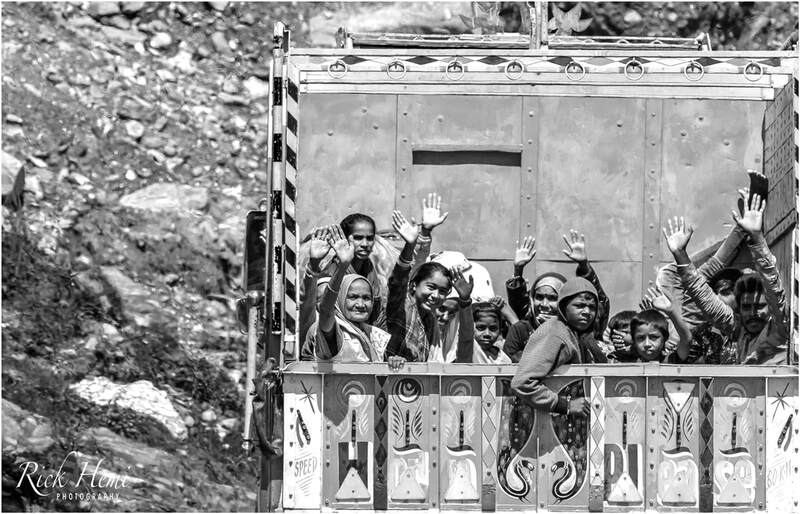 Interacting with locals is a part of any overland transit journey which the entire Asian continent is full of. Never be shy as a visitor, usually most locals will be more than happy to pose for a quick snap. A few different lenses with a reliable body will easily produce images like these on this page. Many young novices tend to be shy and disappear when there's to many foreigners around, but if solo the opportunity is much easier and rewarding. Getting up-close taking street images of anyone in most countries is accomplished simply by openly interacting with them first.This automatically opens up a window of countless possibilities, and the opportunity of capturing some amazing close-ups of locals - especially children. Using manual focus lenses may seem backward to some, but the above image was taken with a 105mm f/1.8 Nikon AIS lens @ f/1.8. The sharpness and bokeh of this lens is outstanding for an optic that was available on the shelves at camera stores way back in 1981 until it was superseded in 2005. Tribal ambience is all over this image, the basket above the fireplace is an old technique still used today to smoke fish and meat. An open fire set on a mud floor is the normal greeting entering a tribal dwelling. 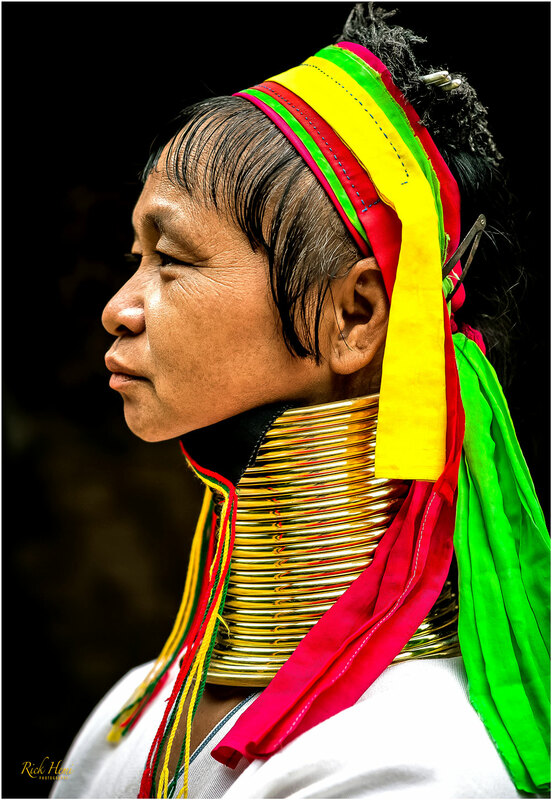 The tribal necklaces are customary designs from the Konyak tribe in northern Nagaland. 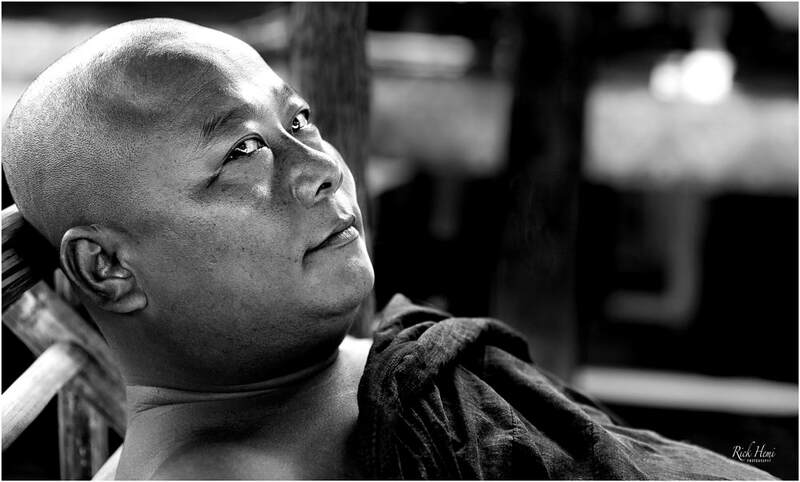 In general, monks even though they look serious have loads of humour and laughter, and are easily photographed without any issues whatsoever. 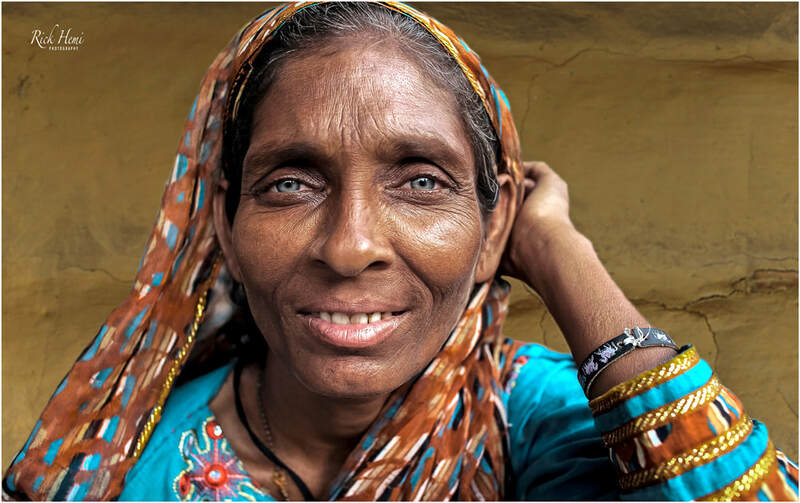 Random street snaps like the above of a Bihari woman can catch you off guard down a side street with their colourful dress wear and aqua blue eyes. A random street snap of a Vietcong veteran who was casually taking his daily afternoon stroll and walking up to five kilometres everyday through town. 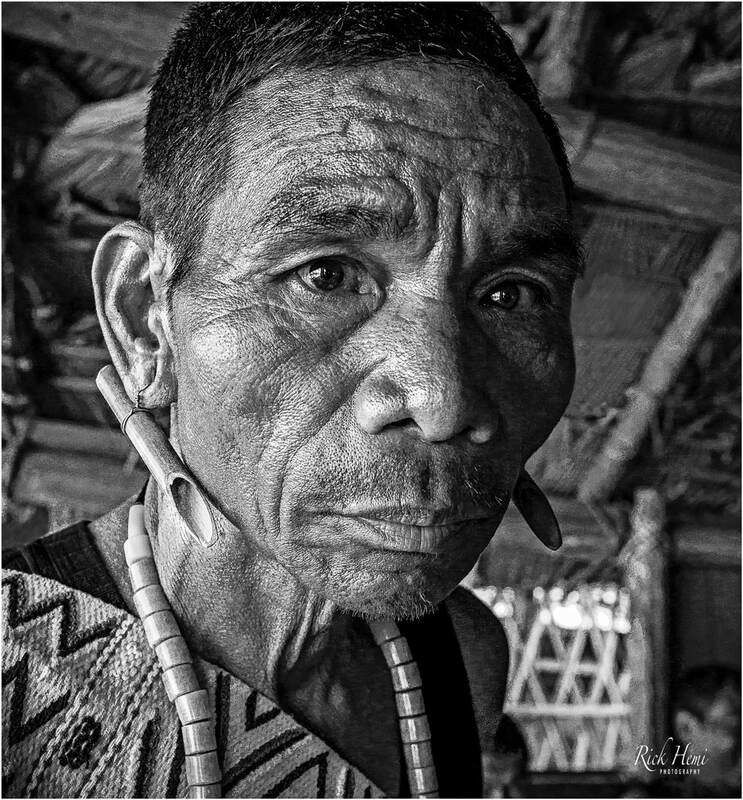 A piercing look from this local, the image was taken at distance with the aid of a tripod which was set up to capture street images like this one above. 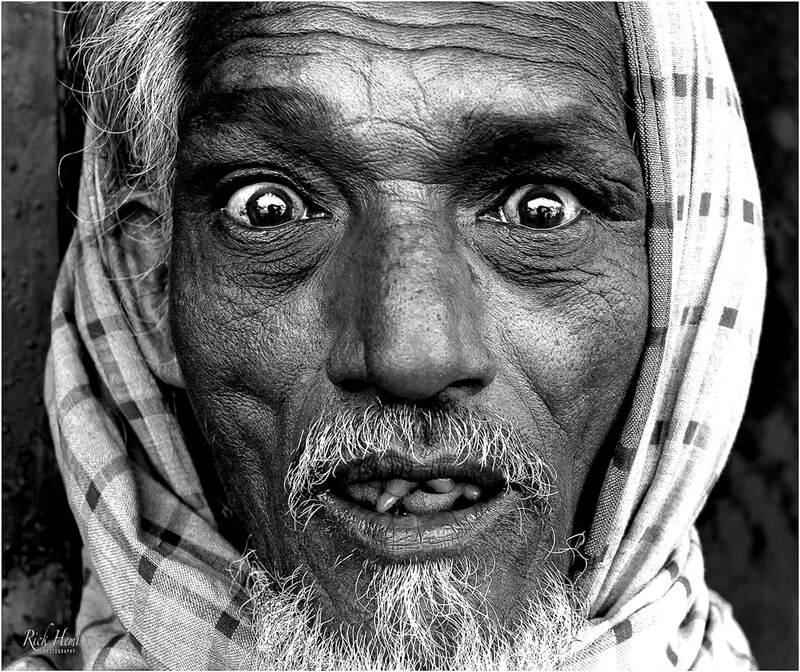 An over friendly local expressing his facial emotions of having a total stranger grabbing a close-up snap - this is pure random street photography. 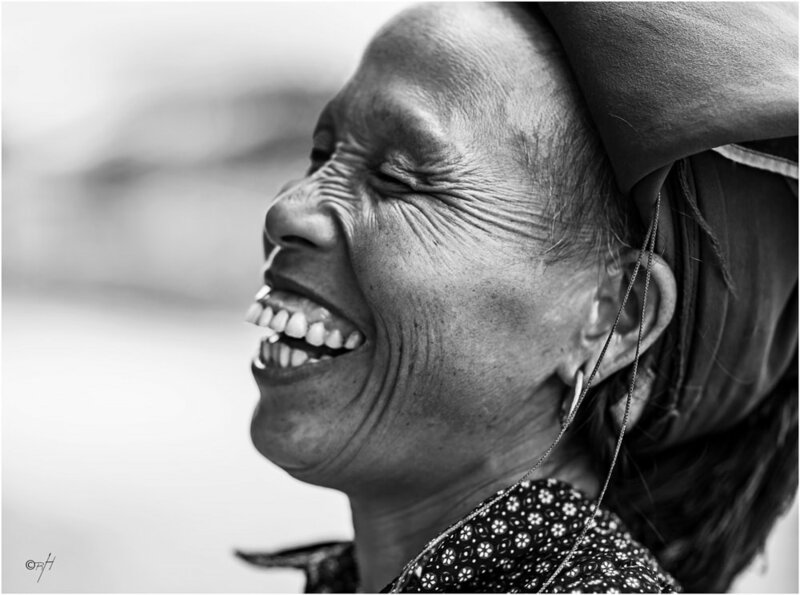 The expression and break of laughter from this Thai woman was captured without her knowing which makes images like these great street snaps. 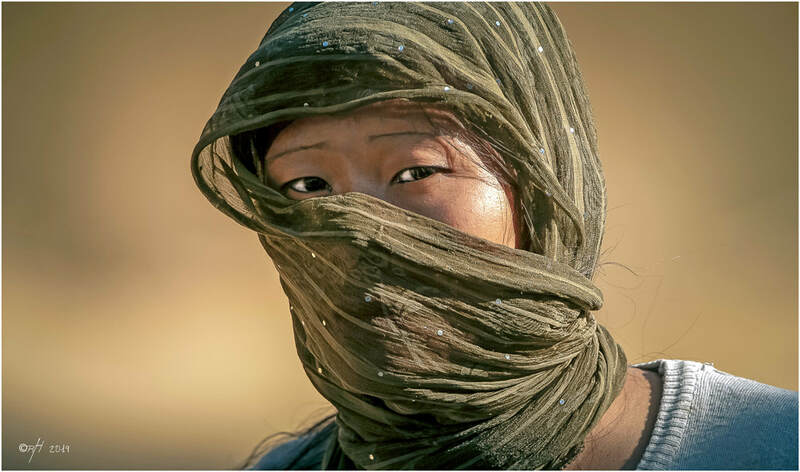 This person could easily be from any of the many hundreds of different tribal communities spread across the Asian continent - Try to guess where. 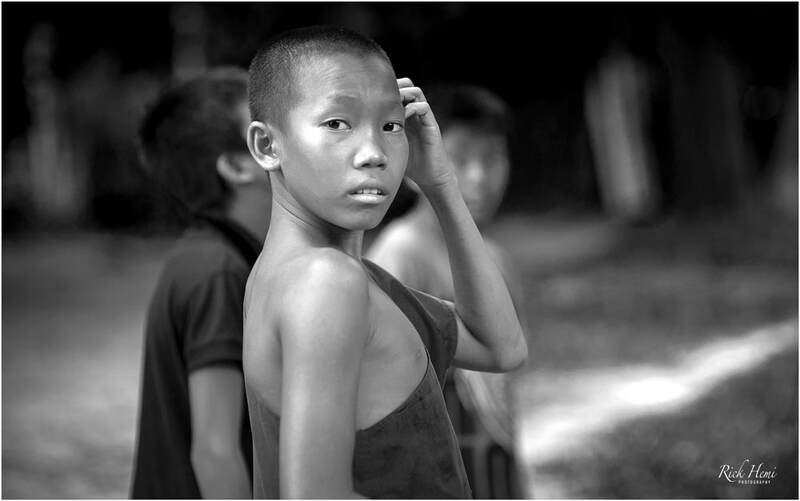 Two random street portraits that display their ethnic backgrounds, a Cambodian peasant, and a snap of a Vietnamese local from the DaLat region. "Some love the place while others can't wait to leave"
KhoaSan Road - Some love the place and remain for weeks on end, while others despise it, and can't wait to leave, never to return again - that's how Khoasan road was, has, and will always be. 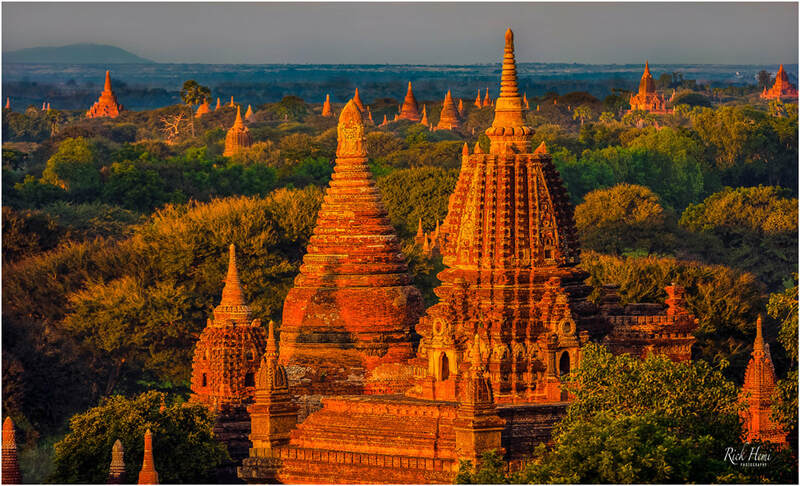 In the mid 80's it was a mecca for purchasing airline tickets to India, Nepal, Burma, and Bangladesh. 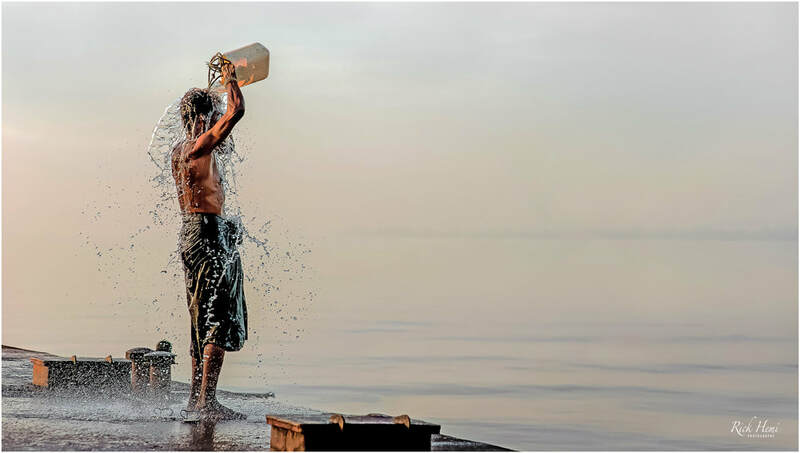 Back then, during the evenings, only a few small tables were seen scattered along the sidewalk on the entire street, and were mainly clustered with half bottles of Mekhong whisky and buckets of ice. The 1/2 dozen guesthouses during that error would store luggage as long as you wanted for free - even for years on end. By the mid 90's, Khoasan became a full on party street-strip that has never looked back. Khoasan road has always been a huge money making machine through the decades for Thai locals, and will probably continue to do so until the last plane lands. Ezilon Thailand map. Awesome sunsets are seen around the planet. As most probably already know manmade pollution together with natural dust elements from volcanic ash mixed in the atmosphere enhance colourful effects. Asia certainly has its fair share of stunning sunsets scattered across the continent. Some of the most unbelievable sunsets are witnessed in Indonesia after a large fire burn-off. Bangladesh and India aren't too far behind. 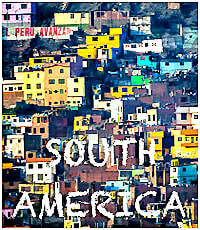 Both countries have large population levels, dusty environments, and heavily developed industries. This automatically increases high pollution levels across the skies and oceans, thus aiding the pastel twilight colours of sunsets and sunrises. Bangladesh overland map/Ezilon Indian map. The simplicity of any silhouette can be easily established during early daylight or late afternoons. As long as the background is lighter than the subject the image should look something like the above. Depending on the chosen subject and depth of field, a dramatised capture will result. India has some of the most amazing sunsets in Asia - this image was captured on a tripod above Bikaner city pointing directing into the Thar desert towards Pakistan. A 1986-2005 Nikon Nikkor 800mm f/5.6 AIS manual focus lens was used. It would have been impossible of capturing the sun looking this large without using the magnification of a long range tele-lens. A cable release was used to minimise camera shake, including delayed timer mirror-up with added weight on top of the lens mounted on a classic 12 meg Nikon D3S body @ 1/13th of a second. Moon shot captures are also spectacular, the below snap is a partial crop from an original raw file that was taken using a tripod to eliminate vibration. Many high altitude isolated regions well away from city light pollution are great locations for astrophotography. The Asian continent has more than enough areas to capture the Milky Way. Nepal, India, Pakistan, Mongolia, and Tibet all have numerous locations for clear viewing to capture the night sky. Travelling with a tripod isn't on everyones baggage list over-landing through Asia, but a tripod is required for astrophotography, and city skylines after dark. This ensures images are captured with minimal movement or vibration. Forget trying to capture images that you'll be happy with if using a smart phone unless it's attached to a telescope. DSLR's may be considered "clumsy" in todays world of snap happy photography, but in most cases they do guarantee satisfactory results without too much fuss. For astro, the pick of the bunch is the Nikon AF-s 14-24mm f/2.8 lens. This attached to any of Nikons semi-pro-pro full frame bodies will give good results. Canon, Sony and Fuji are also right up there with quality optics. 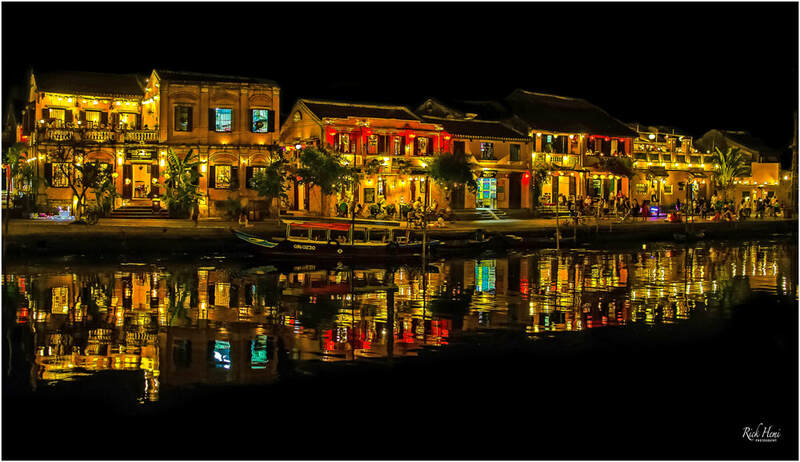 A great retreat to stay for a week or two to escape the heat of Hanoi is further north to the mountainous regions of Sapa. 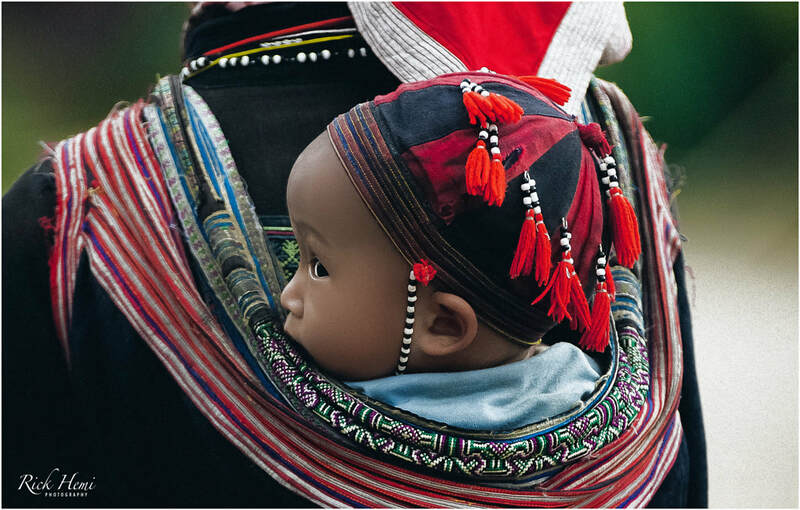 The Sapa, are a mix of tribal communities with indigenous heritage of the Red Dzao, Phù Láwho, Black Hmong, Tay, and Giáy tribes. 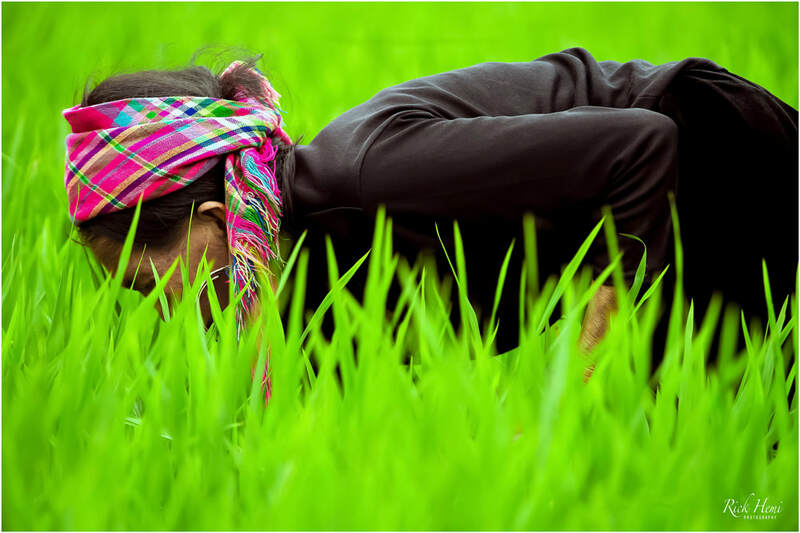 They share large portions of mountainous land who have carved out the hillsides creating endless layers of paddy terraces. The region has been well known for it's friendly tourism home-stays for many years and continues to grow with a positive vibe. 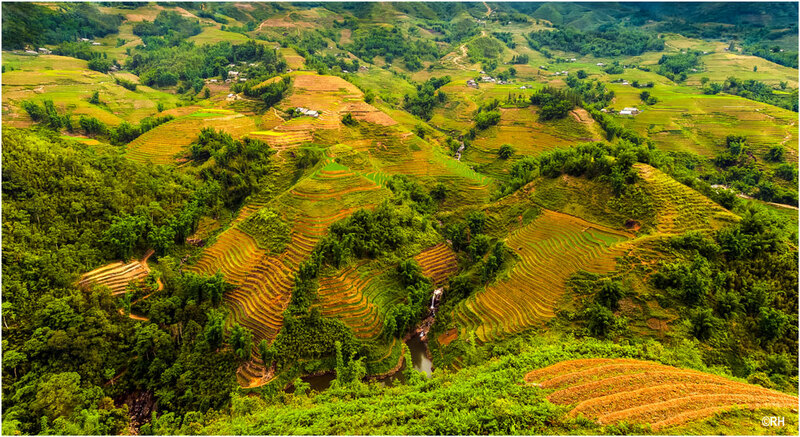 If you want to learn the basic skills of terrace construction and paddy planting with a mix of tribal atmosphere the Sapa region is the perfect place to do it. Street and landscape photography is rewarding with no excuse of capturing some great images. Using your own or a hired a wing bling moped to get around the countryside is recommended. 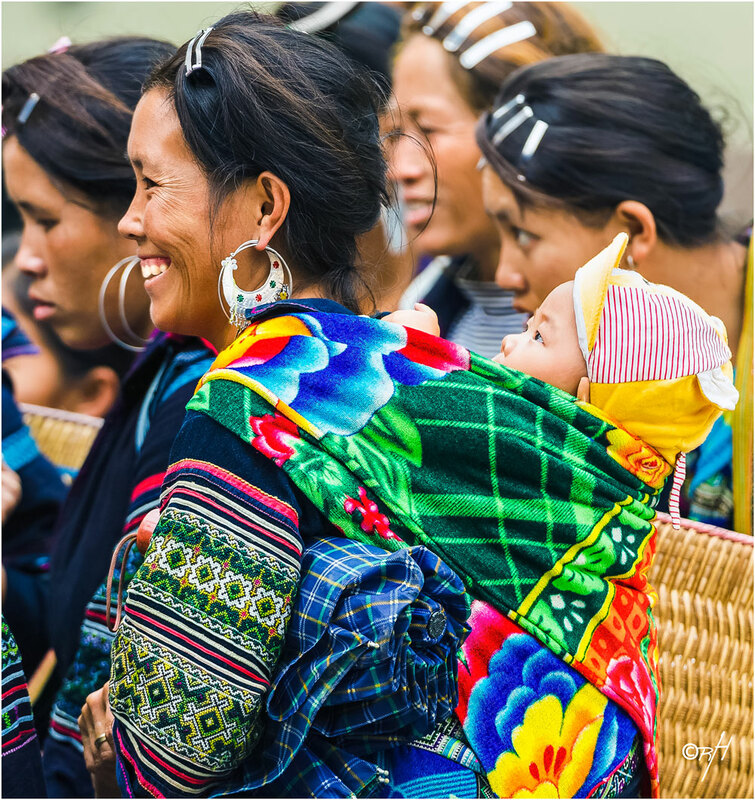 One of the first things that's noticeable in the Sapa region is lots of happy chit-chat and plenty of laughter. If you haven't had a chuckle with locals for a while, and need a fix, then I advise going to Sapa. This is also a hub to get through to Laos at the Dien Bien Phu (DBP) crossing. Its's a 280 km scenic transit route which heads north west near the Chinese border, and then back tracks southward to Dien Bien. Sometimes an image capture can materialise right in front of you, and disappear just as quickly like thin air. I was on foot in slow motion strolling along a winding dirt track that was leading up to a road junction. It was here when I had noticed a group of trees all bunched together with a rough looking bench seat nestled in the middle of them. I thought to myself - wow, that would be a great image if only someone was sitting on the bench seat. Not even a few seconds later from out of nowhere, a blind man led by his helper appeared, and sat down on the seat right in front of me allowing enough time to grab this capture before they left as quickly as they came. Below, an image capture in motion of 3 locals on a moped. 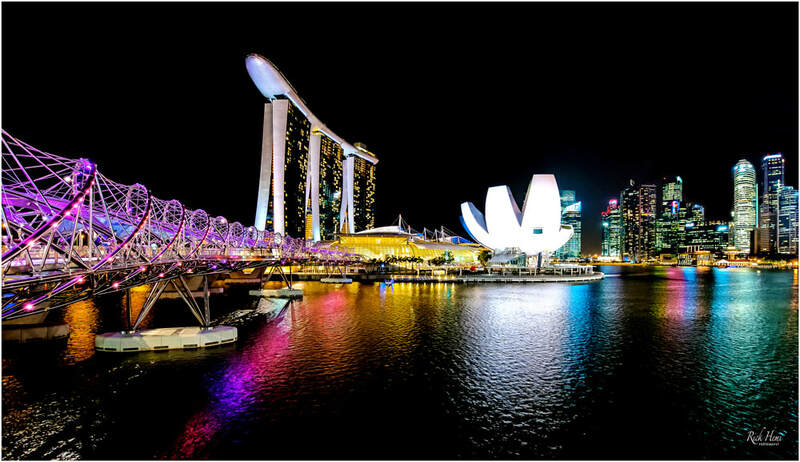 Every city in Asia has its own uniqueness with some that dazzle the visitor. 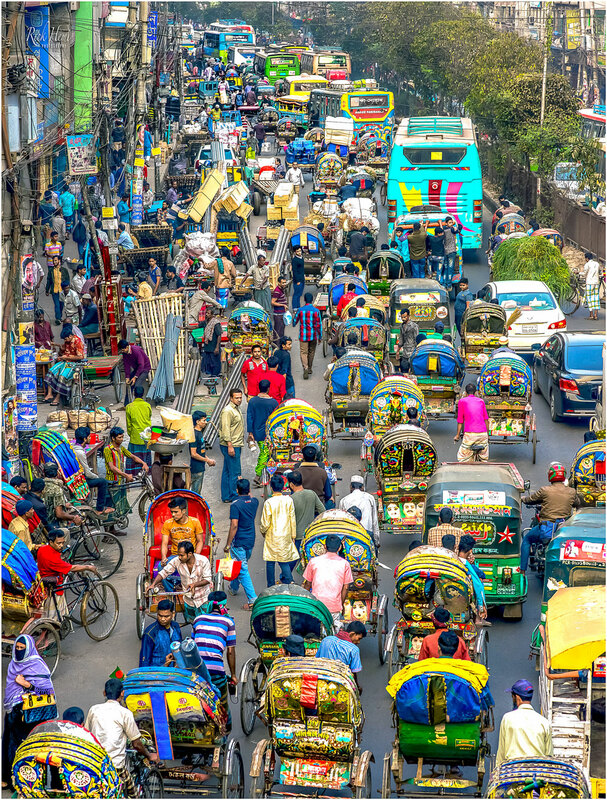 Dhaka's colourful street displays of tangled rickshaws in amongst moving traffic and pedestrians is one of those cities. 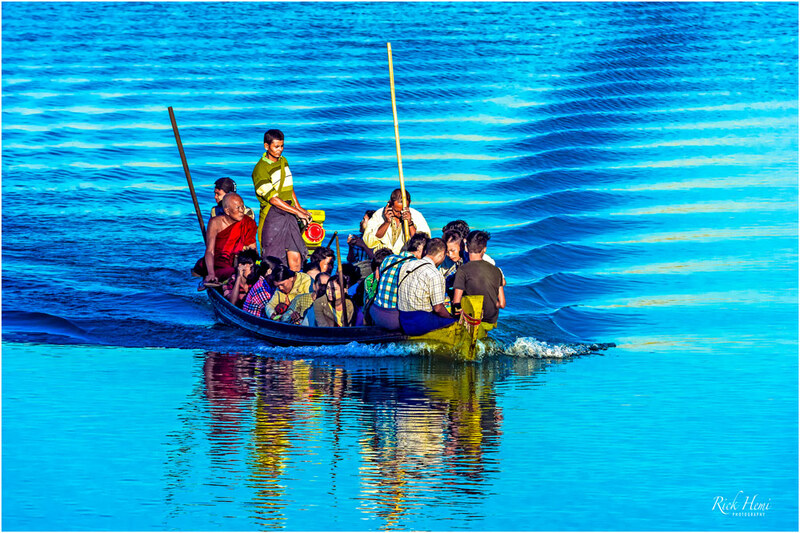 Dhaka's river estuary is also another vibrant bustling part of the old city region. A maze of rainbow water reflections from anchored boats and ferries are witnessed scattered along both sides of the port. A week is sufficient enough time to explore Dhaka at a slow pace. Overland travel and transiting through Bangladesh is relatively straight forward with numerous types of road and boat transportation. Meeting Bangladeshis can't be easier as a visitor, one only needs to interact with them which usually gives positive results with either young or old anywhere throughout the country. 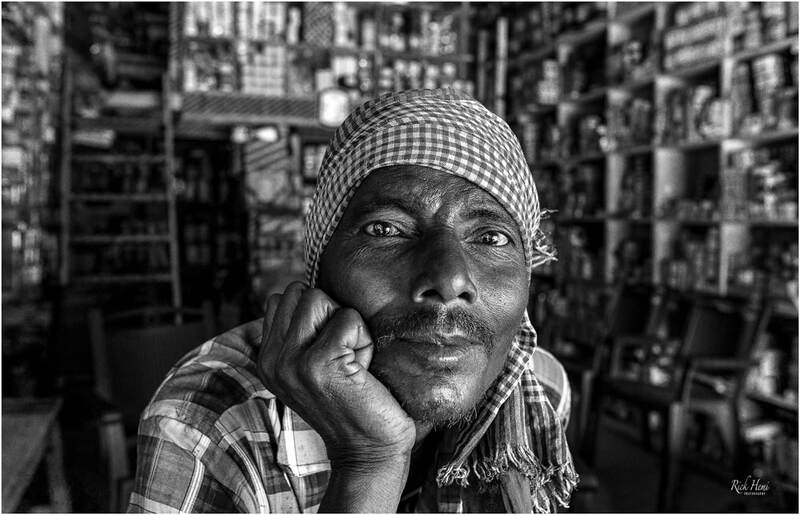 Bangladesh - like India, is a street photographer's paradise which makes it well worth visiting for a month or two. 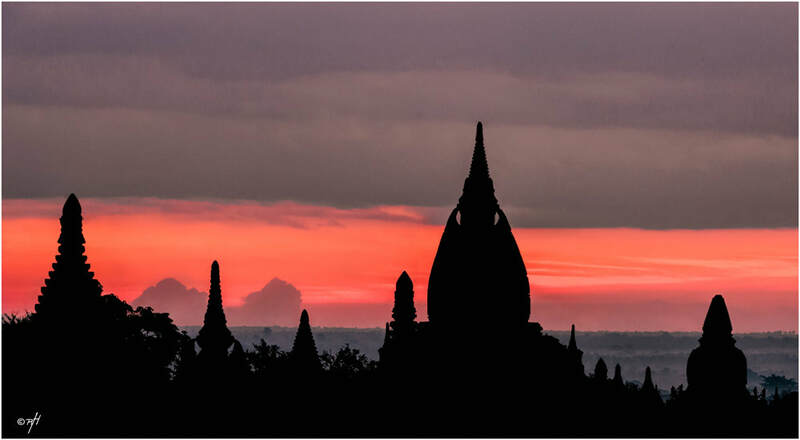 Pink dawn pagoda silhouette - one of the best times to enjoy Bagan valley is when the skyline breaks into pastel daylight colours before sunrise. Even well after sunrise most pagodas are still overflowing with foreign tourists enjoying the views and scouring around grabbing selfie snaps. Every township and city throughout Asia has an industrial zone that's usually situated on the outskirts of urban complexes. Different types of contract manufacturing for local and offshore markets are visibly seen with an abundance of machine workshops scattered in all directions. 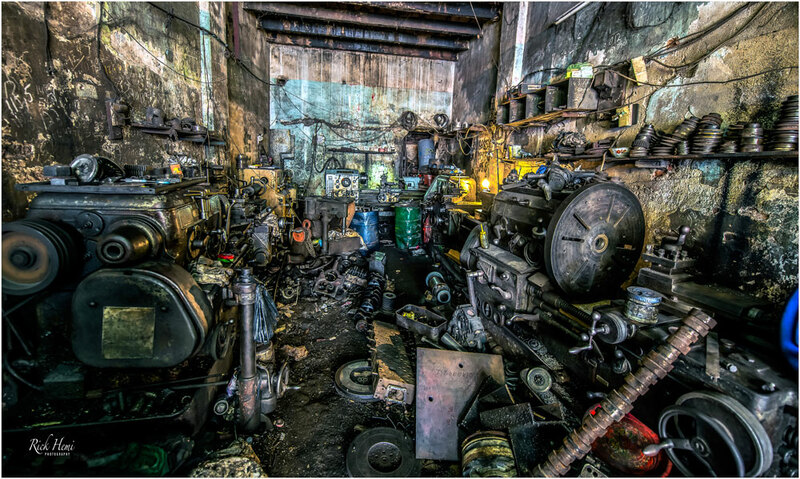 If it's graphic photography you're looking for, then most industrial areas will have more than enough disorderly chaotic out/indoor workshops to choose from. Old style hand pumps at rural filling stations for gasoline are still operating in parts of China and Myanmar. One positive with this manual system is whenever there's a power cut gasoline can still be extracted. Below is an image capture of an automotive shop that specialises in reground crankshafts and bearings. 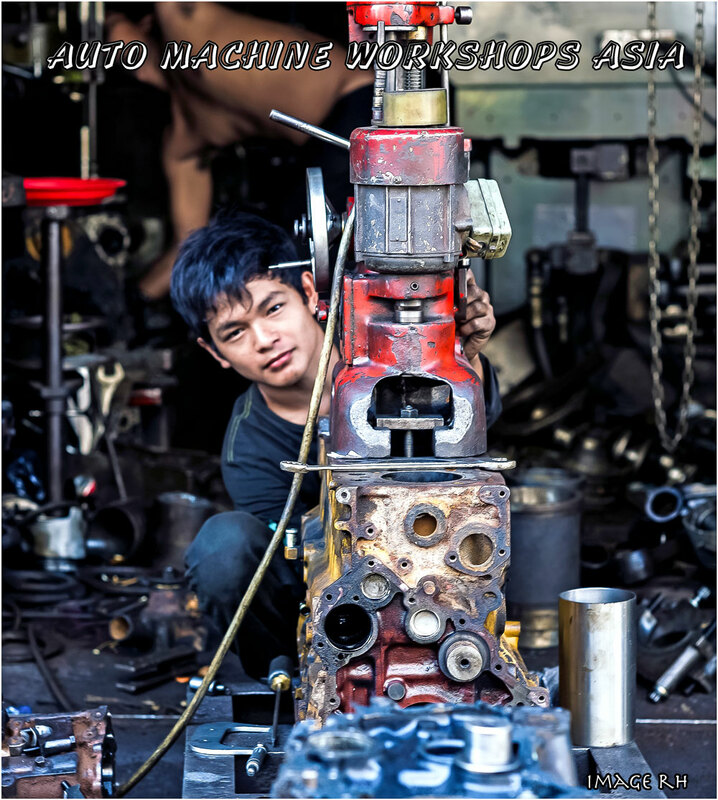 One can find these type of automotive shops in most major towns and cities from Pakistan through to Vietnam. Below, an engine getting a complete recondition overhaul, the rebuilder is in the process of boring and honing worn out cylinder bores on this engine. There's no doubt whatsoever that India has always been the number one country in Asia to capture endless amounts of random street images. Taking portraits all day is possible, but it will wear you out. 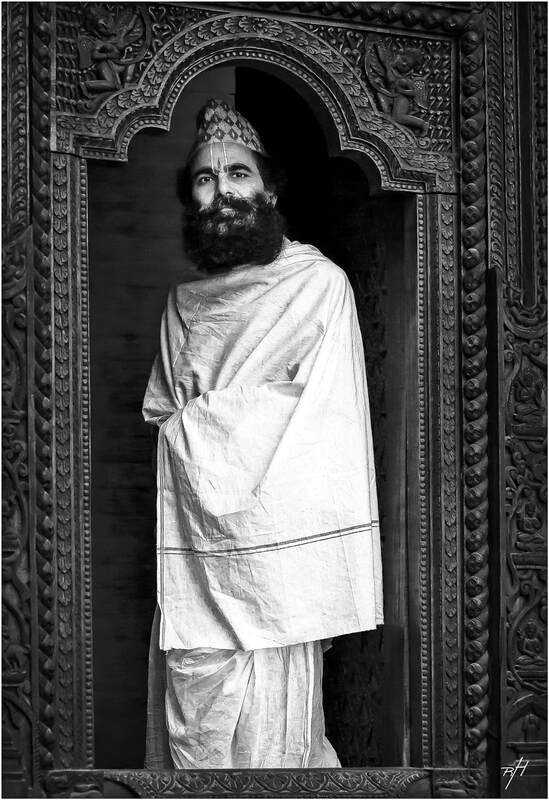 The strange and mysterious Sadhus are a classic example of random street portraits. 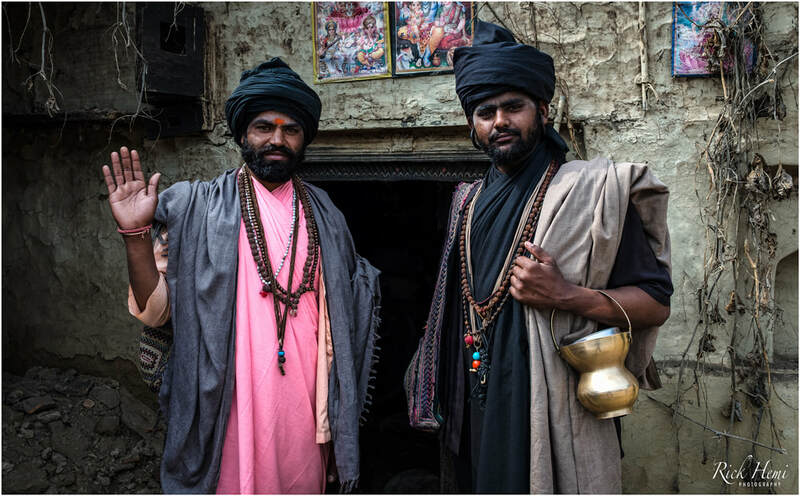 Sadhus can be easily spotted and found during annual religious events, or down at washing ghats, and within ancient cities like Varanasi and Haridwar, which are traditionally known as Sadhu abodes. Don't become a typical western tourist who quickly take snaps of Sadhus and run off in a hurry. 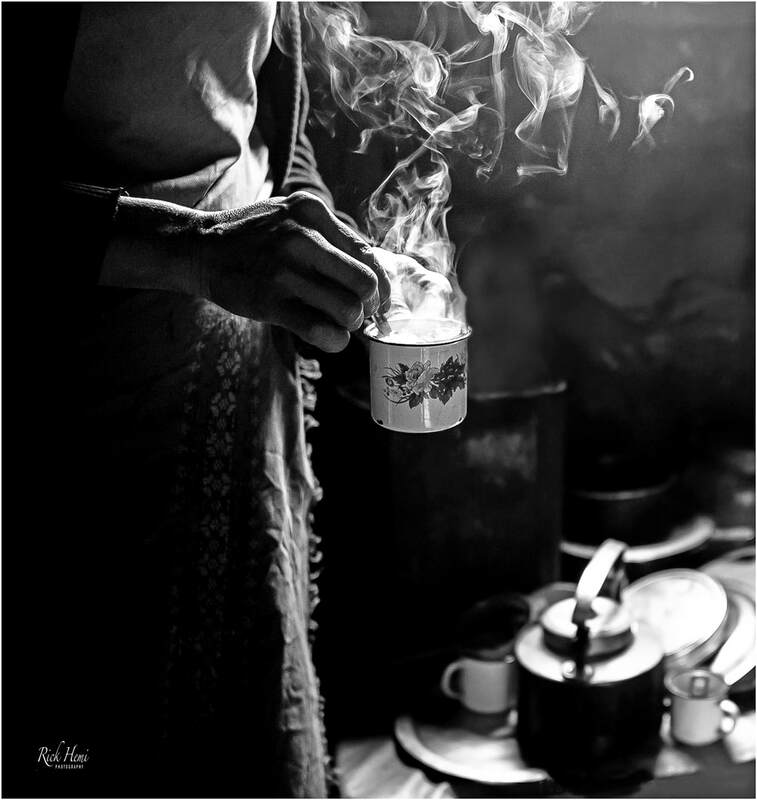 A simple gesture like offering a chai and hanging out for a while with Sadhus will give the opportunity of capturing some great images of them. Interacting with Sadhus won't just give you great image captures, it will also open the opportunity of socialising with them giving a close-up view of their habits and daily routine. 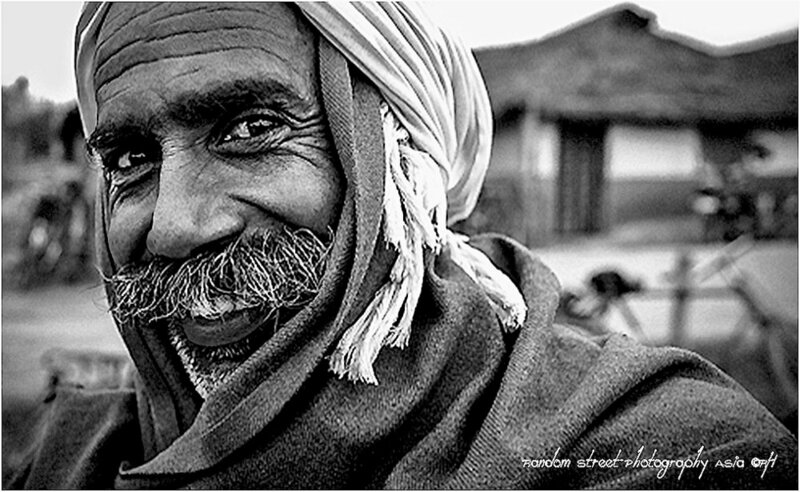 The majority of most Sadhus have outgoing personalities with a friendly open attitude towards foreigners. 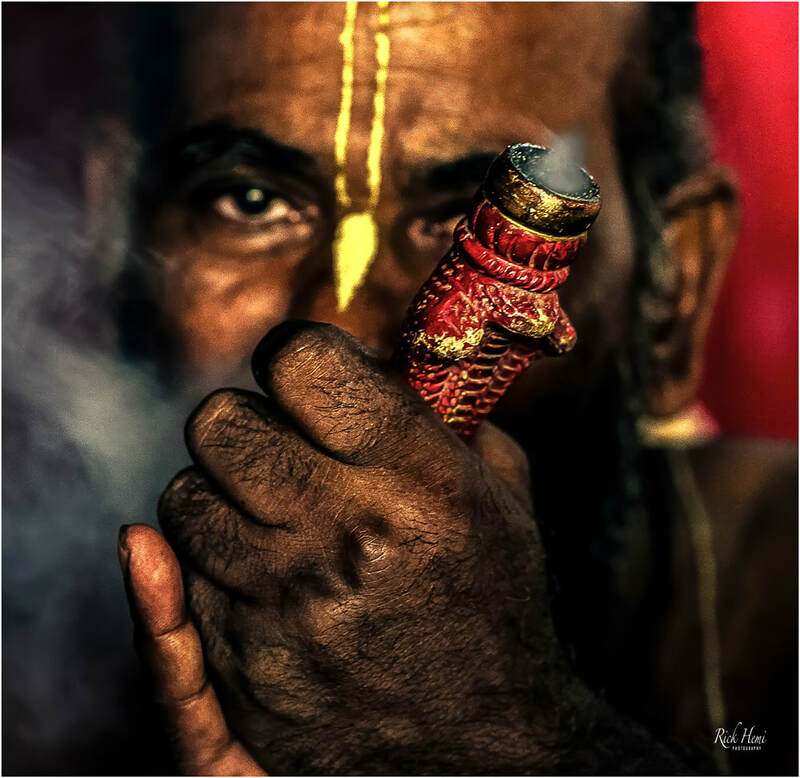 Sadhus also enjoy their daily fix of charas smoking that's usually done with a shared chillum. 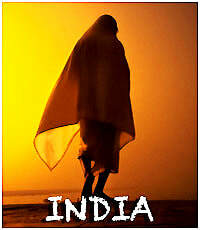 There's more on India in the Overland India section. It doesn't matter what photo-gear you use as long as it does the job - yes? These close-up snaps were captured in ultra-low light without using any flash. 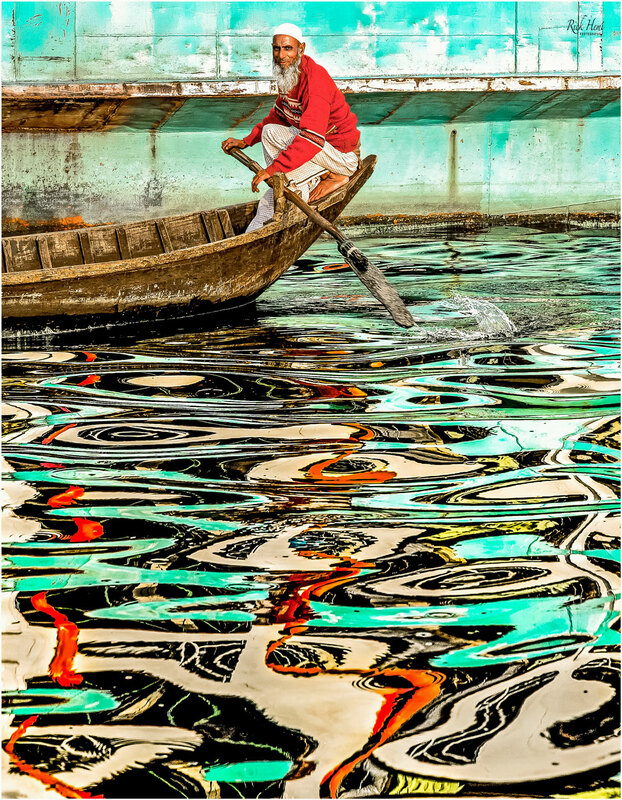 If you're into water reflections like myself, then in general, most water canals and estuaries that have busy waterways and anchored boats will mirror display vibrant colours through the water. Waiting for subjects to pass by may take some time depending where the location is, but generally worth the time and patience. The images shown here were captured early in the morning using a tripod set up with a cable release attached to the camera body. 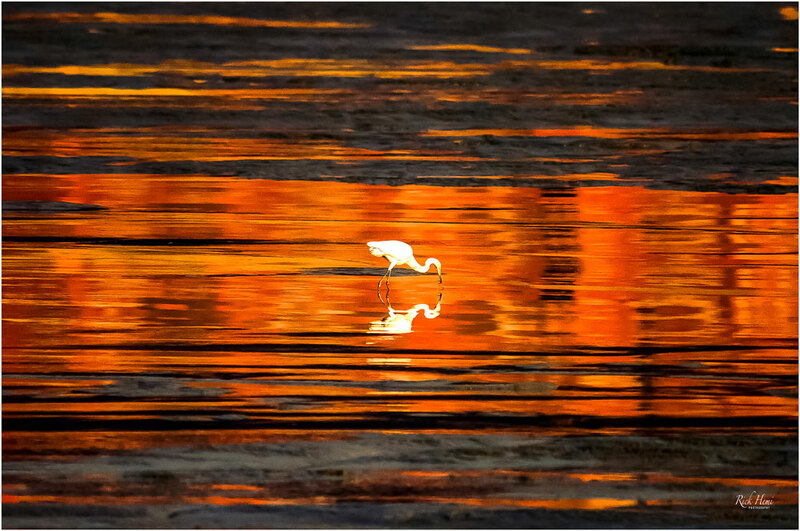 Dawn sunrise showing washy pastel reflected colours along a stretch of mudflats with a white heron casually fossicking around for a food source. A long distance image @ 500 mtrs using an AFS 200-400 f/4 ED-IF VR II lens on DX mode (1.5 x 400mm) on a tripod on the edge of an estuary. 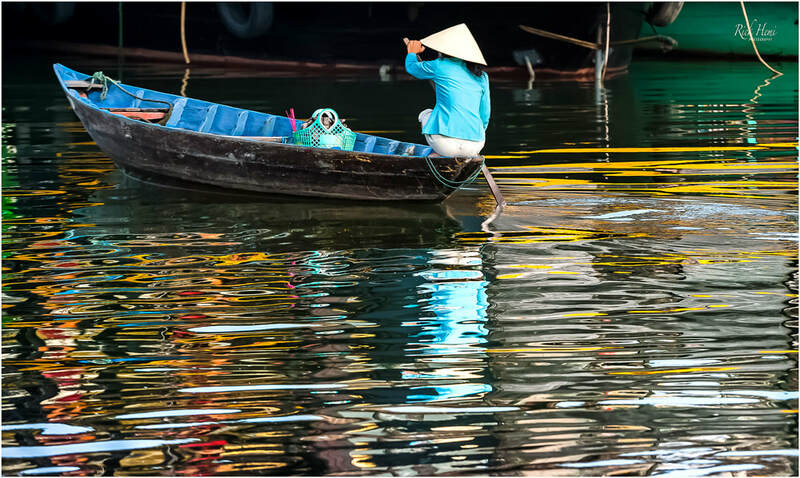 The aid of using a robust tripod and tripod head to capture sharp in-focus water reflections makes it easier to get images like these. An image capture showing a display of pastel maze like colours mirrored from close-by ships on to the surface of jet black water in an estuary. 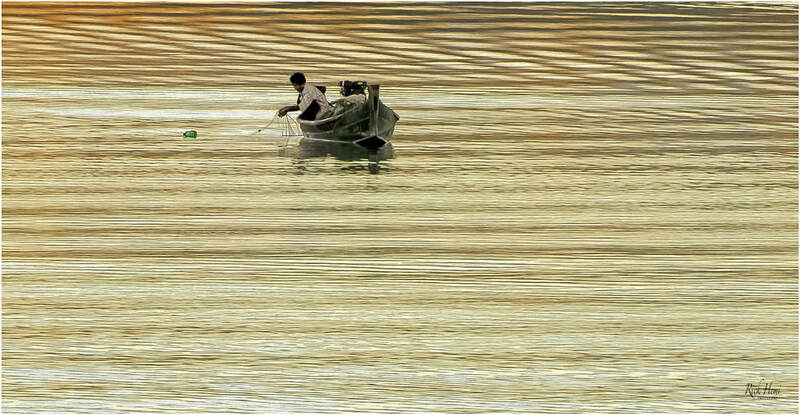 An early morning capture of a boat loaded with locals crossing the Irrawaddy river leaving a trail ripple effect across the surface of the river. Capturing a silhouette snap at Ankor Wat is simple enough with almost anything with a lens attached to it - jostling around for a place to do it is harder. 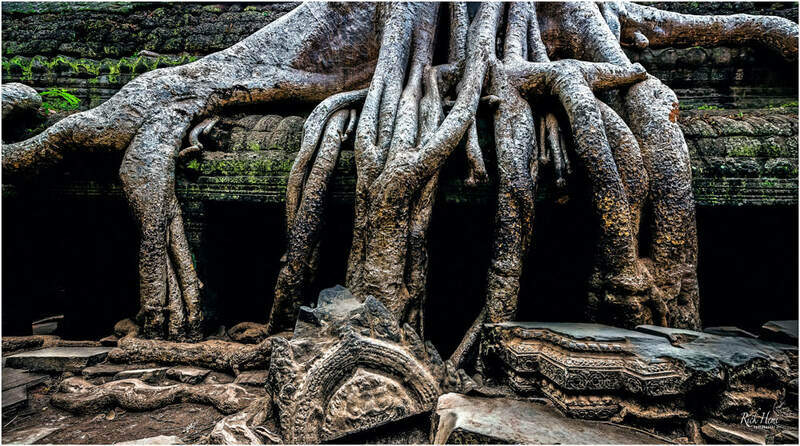 Ankor Wat is on everyone's bucket list for those who transit through Cambodia. The four day pass is well worth its price tag, because of the freedom to explore and go where you wish without restrictions. Photographing the sun rise at the moats is one out of the many highlights at Ankor Wat, although it can be mission for those using tripods if arriving too late. The jostle for a good position begins around 4am - don't be late. 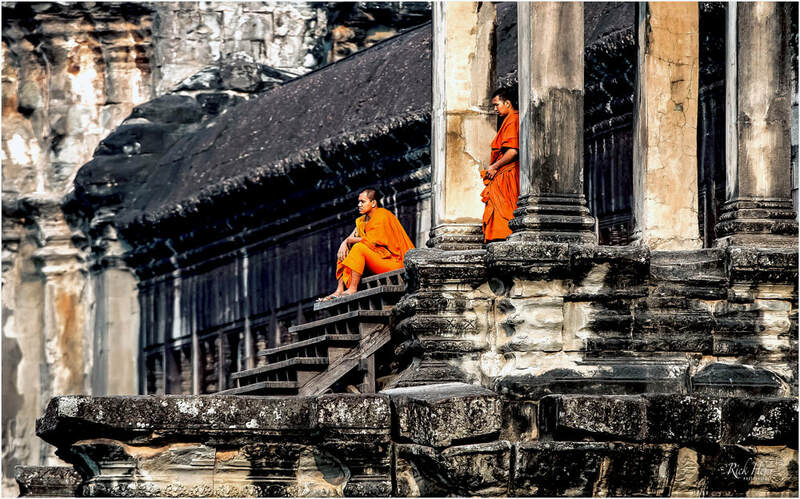 Hanging out around the main temples should give the opportunity of capturing images of novices and monks. A 4 day pass will certainly guarantee this. When local public transport becomes non-existent, it's very normal to climb on board anything with wheels moving in the direction chosen. This becomes an automatic practice in any isolated region throughout the Asian continent. 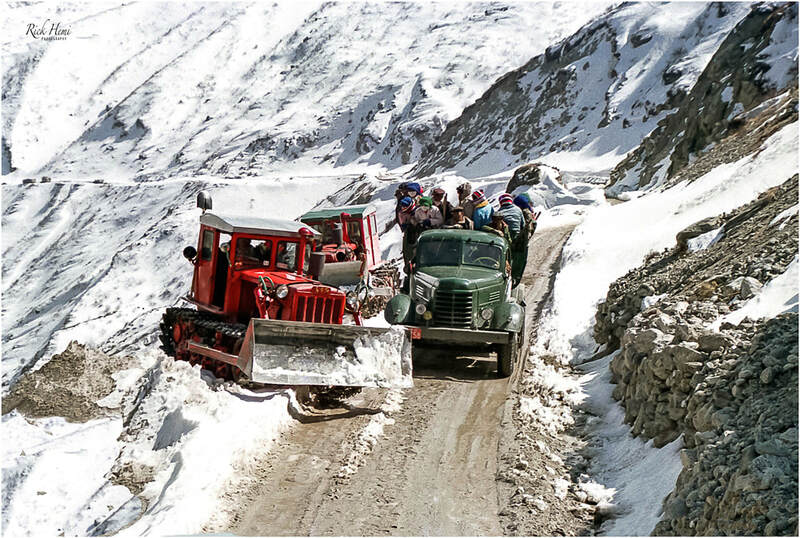 Grabbing a lift on the back of trucks or pickups mingling with locals is a major part of what overland travel and transit is all about. It's on these type of occasions during transit where the ease of interacting with locals occur. 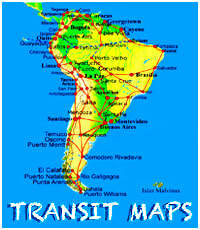 Crossing through countries or entire continents using basic transportation becomes normal and at times necessary due to the lack of available transport. It's moments like this sharing time with locals that's always remembered. 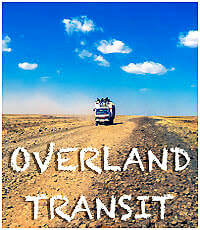 The Overland Transit page covers more info on this. North West Thailand is a great region to relax and chill-out when you need a break from the rest of Asia, especially after months slogging it out over landing and transiting throughout the continent. Almost everyone has their own opinions, comments, and views about this well-trodden down Asian paradise. In general, the Thais have a friendly outward approach towards foreigners, but as of late many Thais seem to suffer from "foreign fatigue" syndrome, that has changed their outward personality - well, can you really blame them?. Money extraction with a smile through foreign tourism has been a number one priority for decades, no matter what circle of tourism it involves. 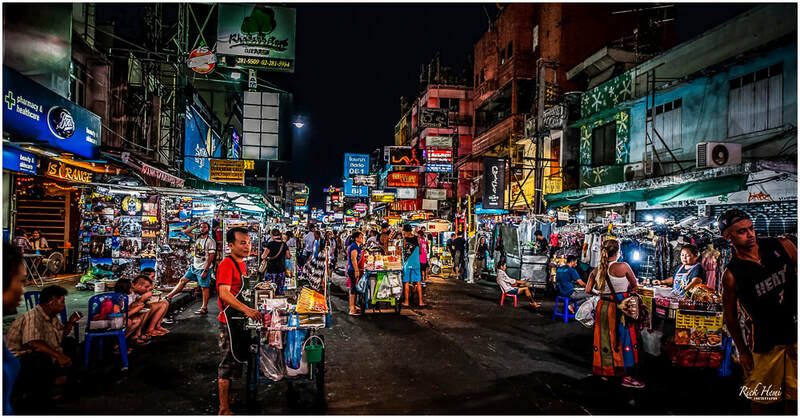 The underbelly of Thailand's dark side has been around since the word tourism was invented, and is more rife than what most could imagine. Foreigners who do dabble inside the underworld eventually end-up becoming the looser every time. Playing tourist and enjoying the surface of what Thailand has on offer is more than enough keeping it simple. Storm fronts gathering momentum during the wet season are common and witnessed within the mountainous regions in north west Thailand. One only has approximately two seconds grabbing images like the above, then it's lost forever - Never hesitate to capture street shots of subjects. 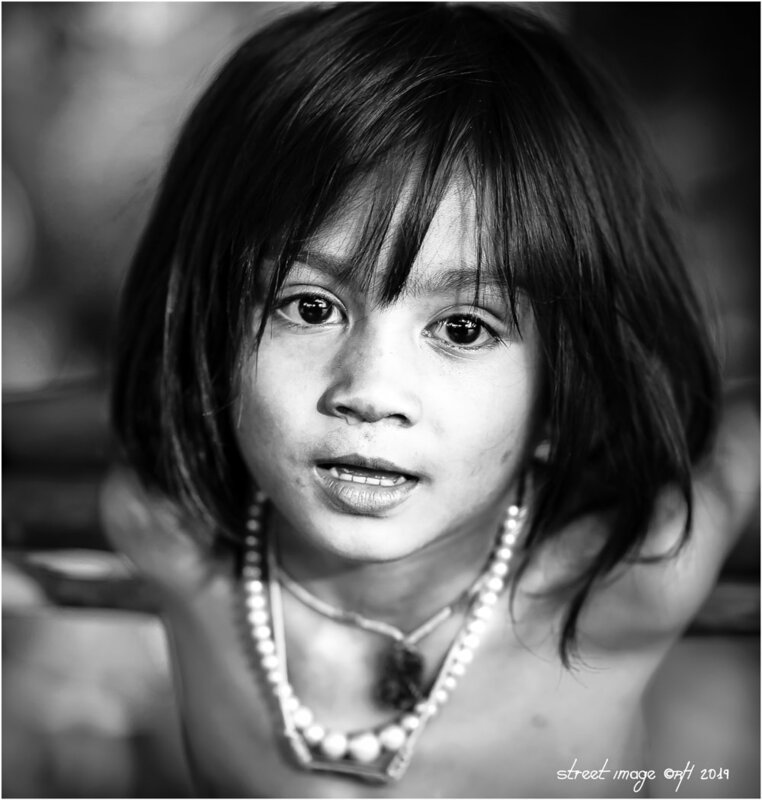 These simple portrait snaps above were taken taken within an area where most foreigners don't even bother to go. Taking a stroll to the edge of any town or village will normally create a crowd of intrigued locals with invitations of chit-chat, and offers of coffee or chai. Taking close-up portraits then becomes easier. I've never had any issues doing this through all the continents, as long as positive interaction and respect is applied. Random street photography through Asia is like walking through a matrix of unlimited subjects to capture. It's up to any person to interact with locals who maybe stationary, or walking close-by of randomly capturing images of them. How many times have we all regretted not doing this? All those missed random captures of total strangers that we don't want to remember. In the real world of random street photography, one only has 3 seconds to decide, and act to capture a moving snap. The 1st second is thinking about it, with the 2nd second taking it. The last second the image is already gone, and becomes a faded memory and lost forever. Another related issue is a flat battery that fails when you need it - it's always advisable to carry a spare charged battery around just incase. Shallow depth of field makes subjects stand out, and produces smooth out of focus washy backgrounds that most photographers want as an end result. This street image was posted here on purpose for other photographers, and for those who are unaware of how an innocent street snap can be taken and viewed in a negative way. In western countries, innocent captured street snaps of children taken by strangers without permission could be thought as something sinister, even though there was no intent of sexual exploitation. 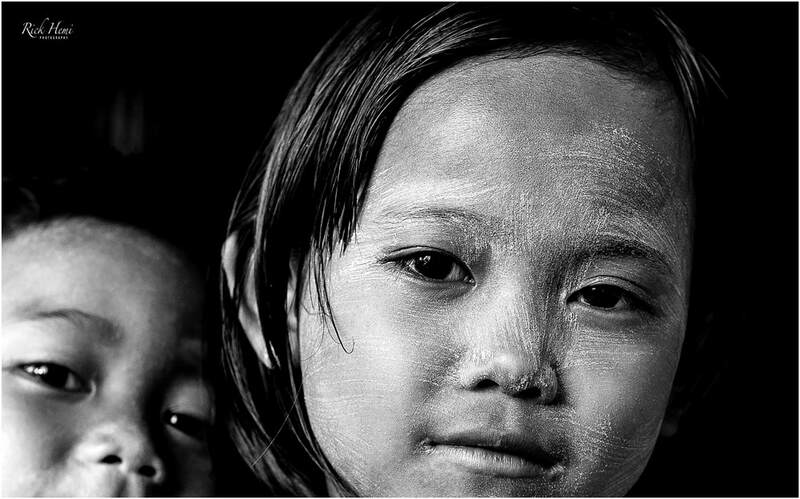 In Asia, streets are bustling with children, all having different lifestyles and upbringing. The majority of children in public are usually with a family member or a parent close-by. 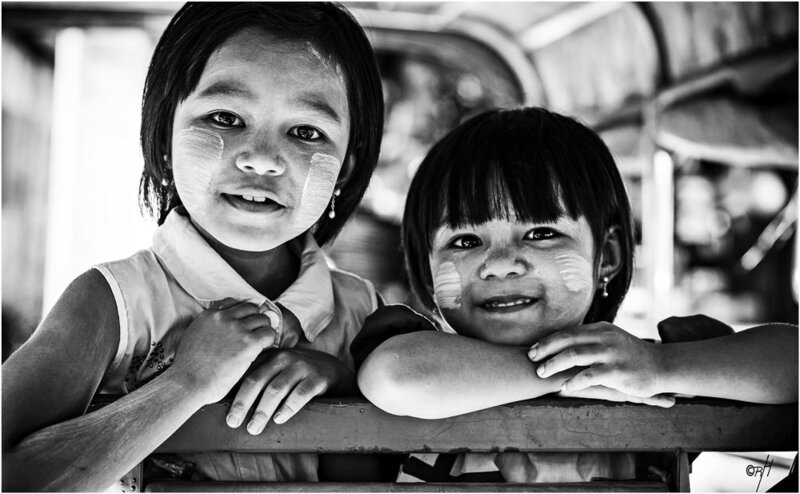 Foreigners travelling through Asia have endless opportunities of taking candid street snaps of children without complications. This has been a normal occurrence for decades without issues. In saying this, crossing over the red line taking images of naked street children should be completely avoided - Period! Local authorities, including western immigration officials have the right to browse through image files, and may seize and even arrest those on suspicion of CSAM. In Ethiopia, South Sudan, Namibia, and other countries in Africa, there are no regulations to photograph semi-naked people within their respected tribal zones. Cultural festivals like the Kumbh Mela in India do show full exposure male genitalia, and is at the discretion of those wanting to capture images of nakedness which is permitted. There is a grey area with a fine line - don't cross it and you'll be OK. I had easily caught the attention grabbing a snap of these local passengers who were on a moving bus. I was positioned in the middle of a busy 6 lane expressway on top of a medium barrier dividing traffic flow. A tripod was used for this snap - sometimes location is everything. 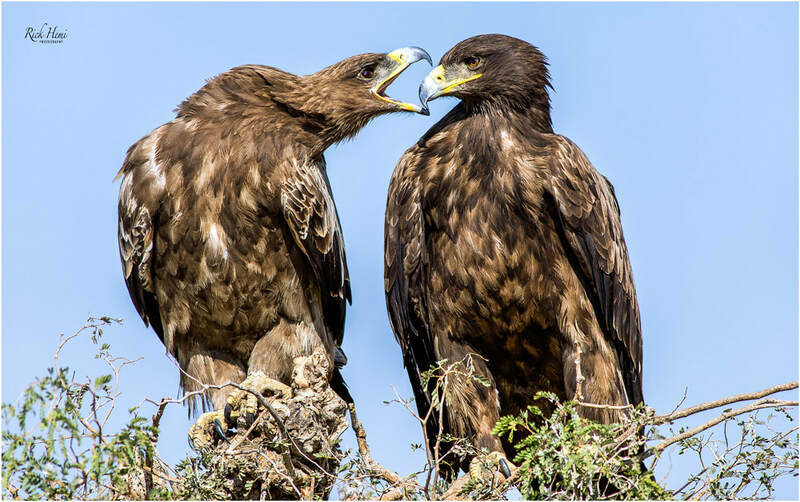 The image above was captured along with 100's of other images in tribal territory using a tripod with a Nikon AFS 200-400mm f/4 G ED-IF VRII lens. 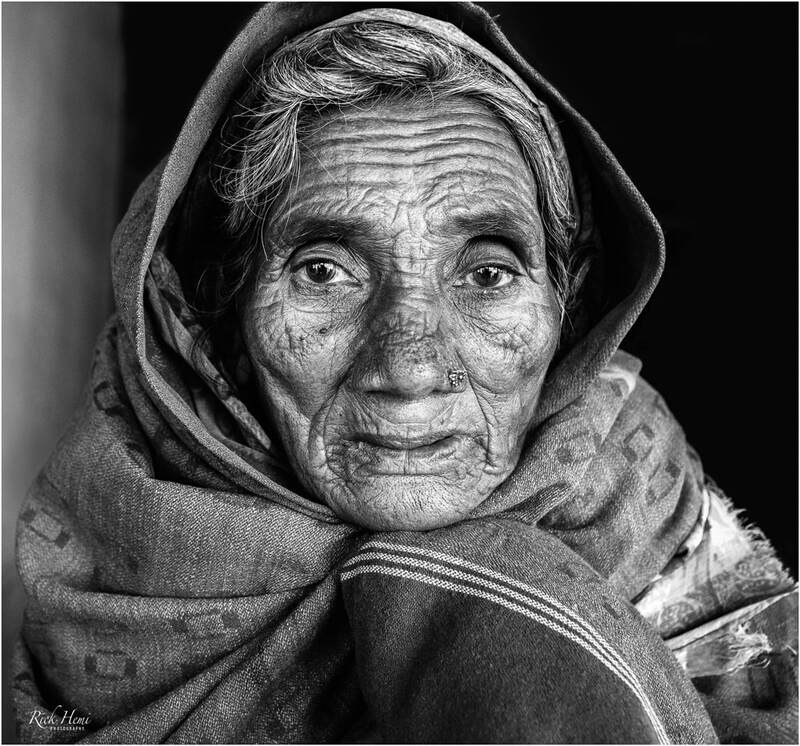 A street portrait randomly taken within a small village environment in the south east of Bangladesh. 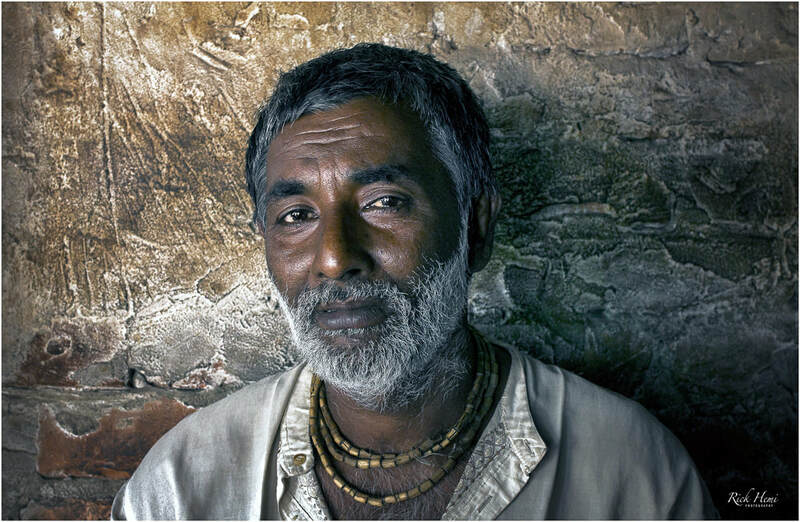 The local is of Hindu origin and was more than happy posing for a quick snap. It was captured in low subdued light with pushed ISO using a nikon AF 28mm f/1.4D lens @ f/7.1, 1/40th sec, ISO 1600. 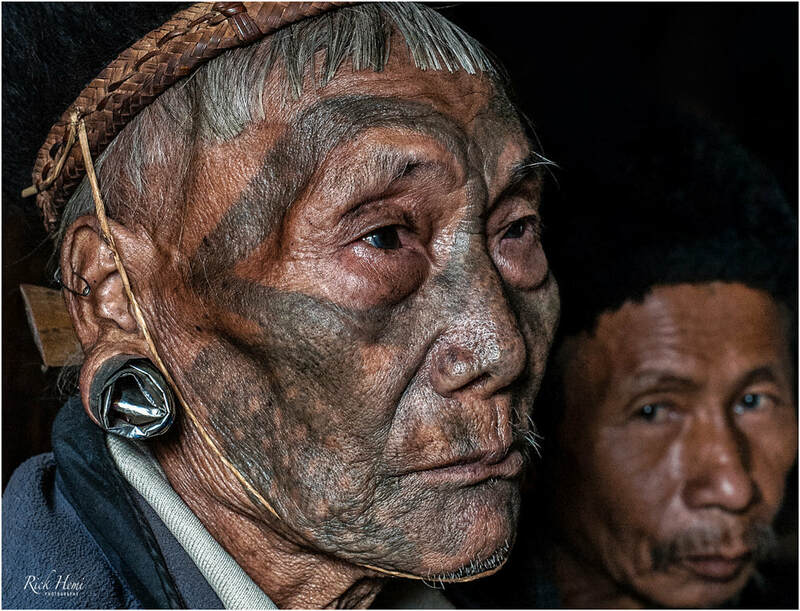 A retired headhunter from the Konyak tribe in northern Nagaland still showing a visible 65 year old full facial tattoo. The image was captured using a classic Nikon D3 body with a 40 year old Nikon 58mm f/1.2 NOCT AIS lens in subdued light. 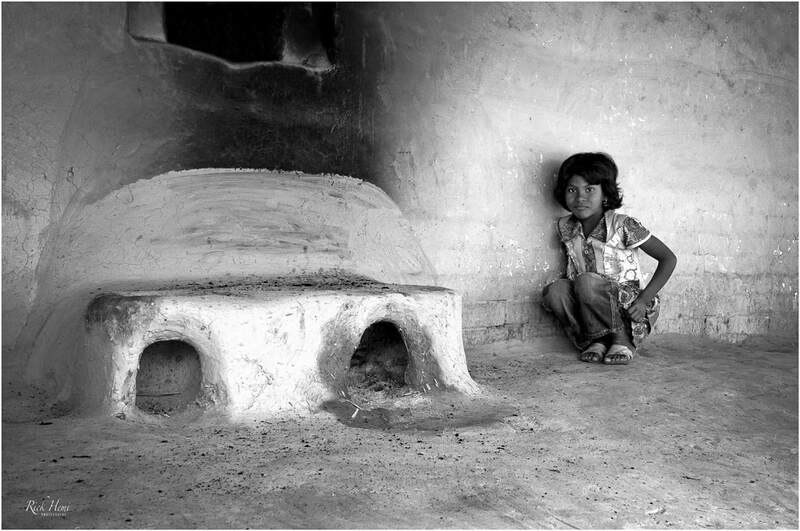 Creative handmade designed earth ovens are typically seen in the highlands of Nepal, India Tibet, Mongolia and Pakistan. Locals craft their own unique designs using mud mixed with straw. 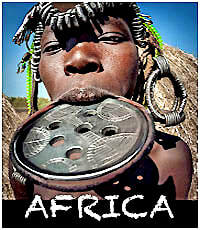 Some regions still have an abundance of firewood or use dried dung. Getting cooking gas to remotes mountain villages still remains virtually impossible. 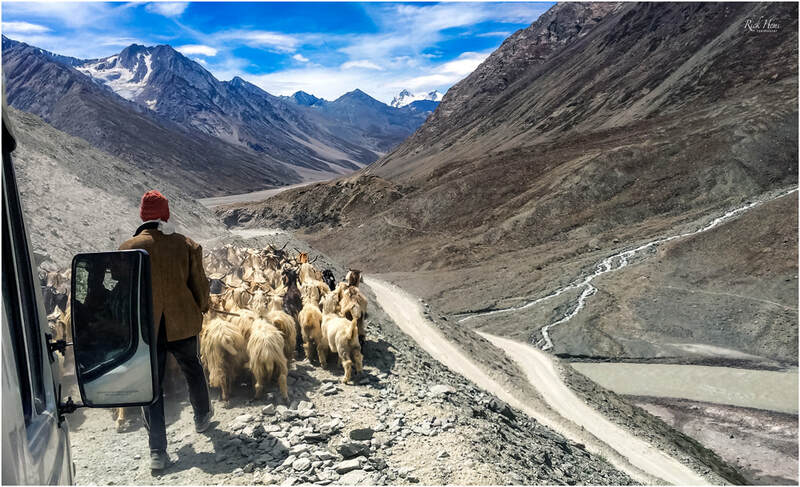 Locals in these regions will normally resort to using dried dung for warmth and cooking. 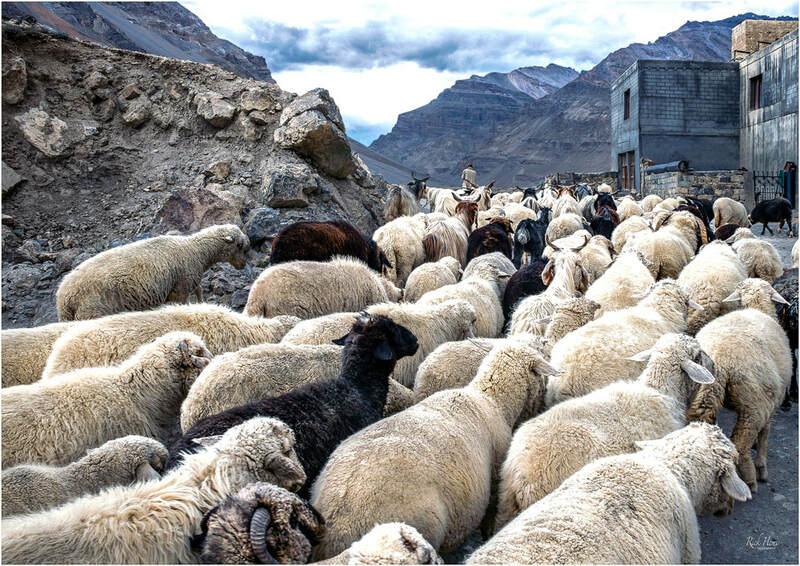 The above image was taken in a remote region of Nepal. Using dried dung as a natural fuel for cooking and heating has been around for centuries in regions without wood. 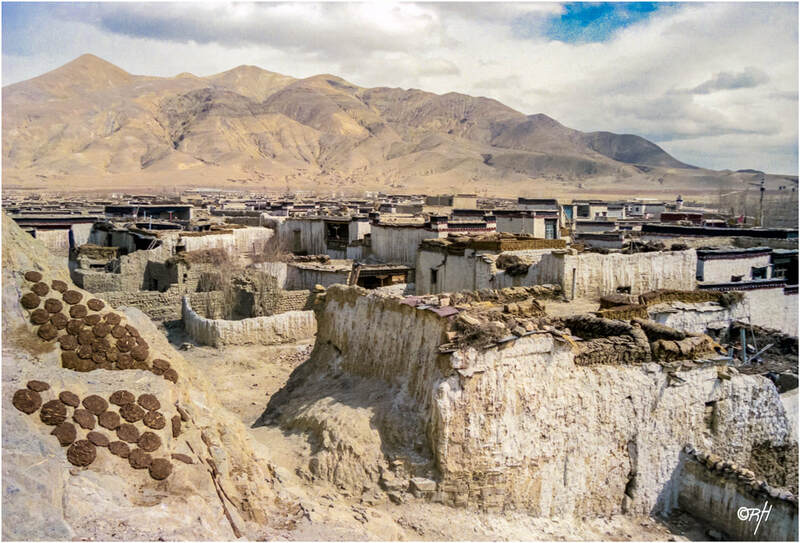 The image below shows prepared yak dung slowly drying out in the small isolated township of Samye in Tibet. Many remote regions in Asia are excellent places to capture images like these two samples, Antique wooden carts drawn with horses are still being used in areas well away from the hustle and bustle of large towns and cities. 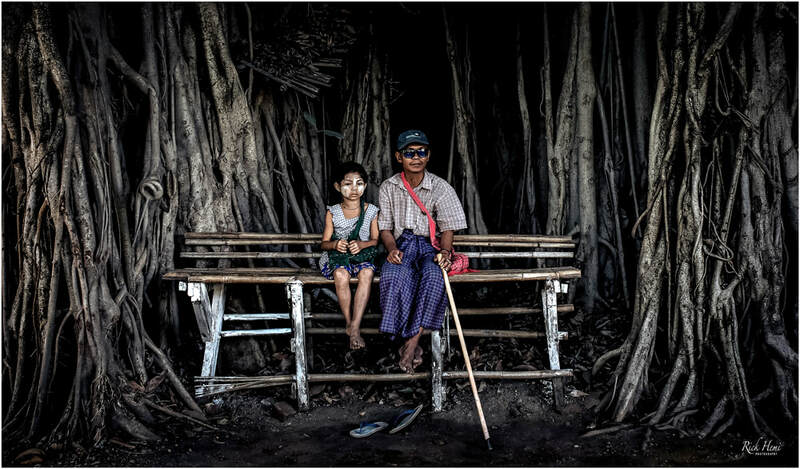 Elders of small isolated villages can easily be seen relaxing in their favourite porch chair, or taking a stroll down a dusty lane way. The passage of time within some of these communities still remain as they were a century ago. 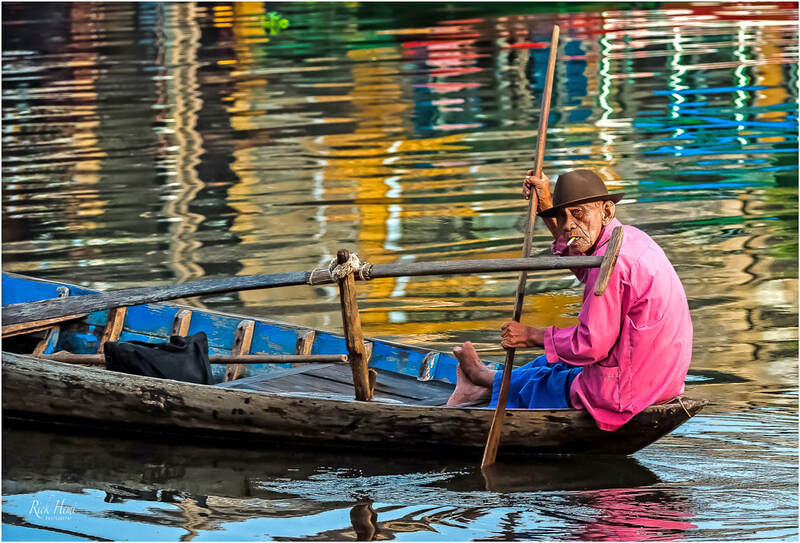 Capturing good images in transit mode through Asia really depends how motivated you are. Early morning walks, and late evening strolls within cities or isolated regions will amount to many great photographic images. One can never know what's around the corner, or further up a river estuary, or how a view will look from any near-by hilltop. On most occasions random portraiture is in any direction one walks carrying a camera. 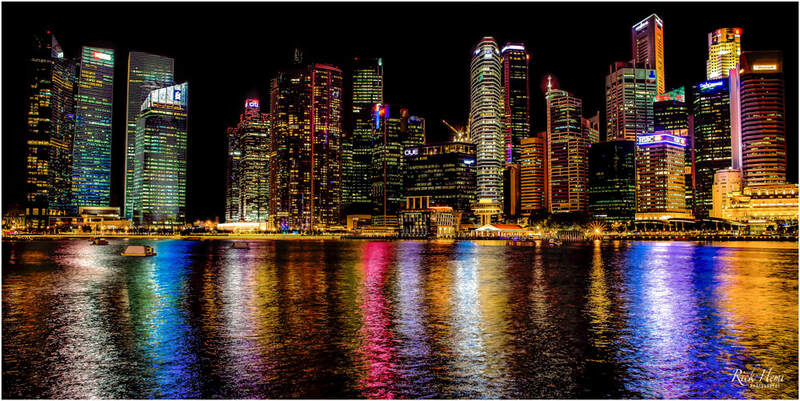 Capturing night street images can also be rewarding, especially glittering reflective cityscapes like Singapore, Hong Kong and Shanghai. Using a tripod will ensure vibration free captures with anything over a 1 second exposure. 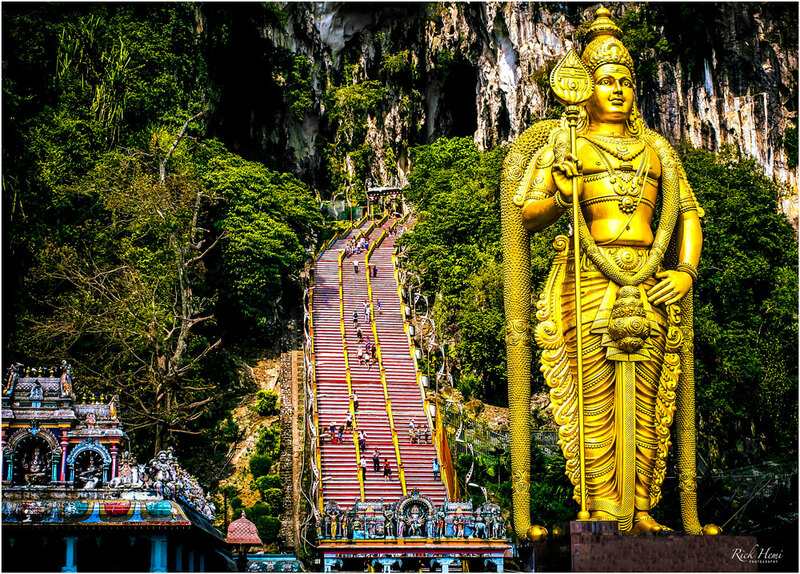 There's no continent on the planet that can match the amount of temples per square kilometre than what Asia contains. 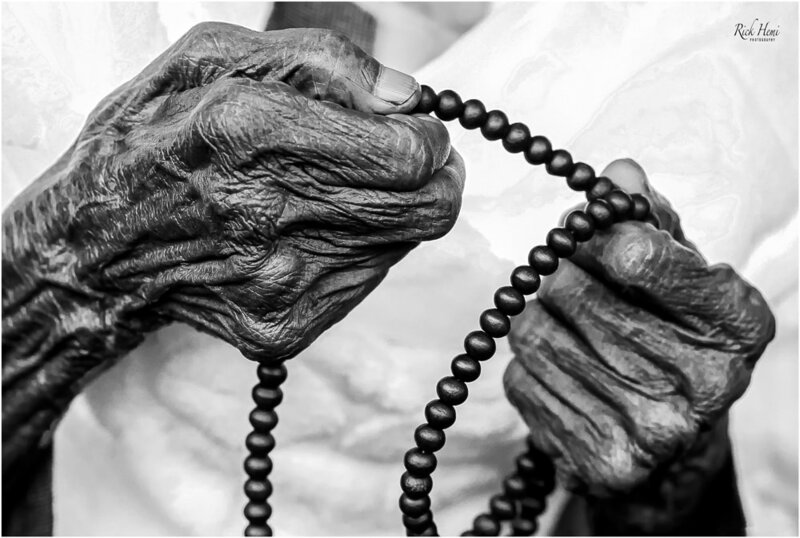 India alone shares a vibrant history of many different faiths with most still existing today. Hindu, Muslim, Buddhist, Christian and Jewish temples are scattered across the country. 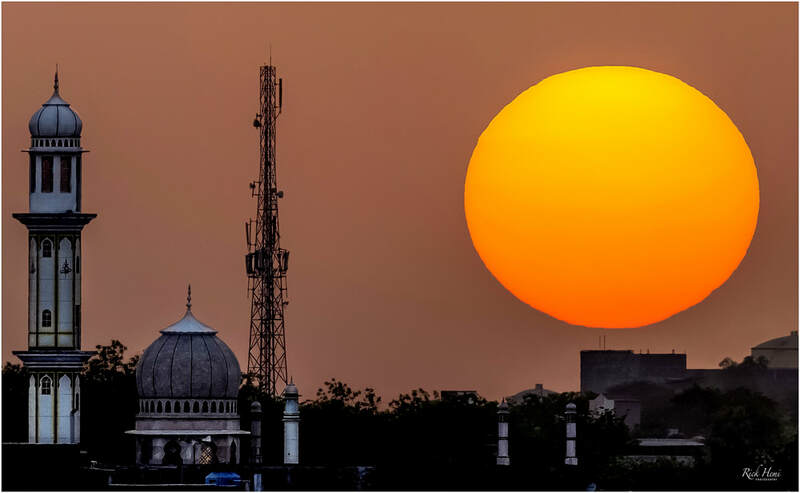 Dhaka in Bangladesh is well known as the city of mosques, they can be heard across the city when prayer call begins. 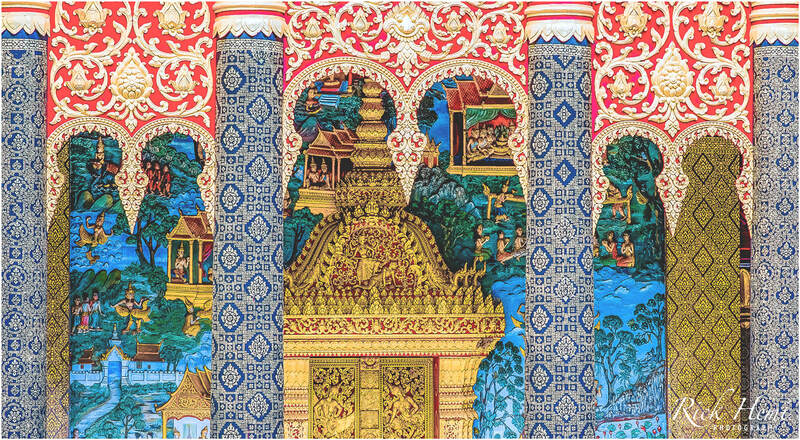 Laos, Thailand, Cambodia, and Myanmar are saturated in Buddhist heritage and culture, with some temples decorated and adorned looking like fine art. Personally, I'm not into temple photography, it's not that I completely avoid them, an impossible task in Asia, but they are places of worship and prefer to show respect when required. Taking images of temples from the outside looking in is probably as far as I would go if a temple is busy with worshippers. 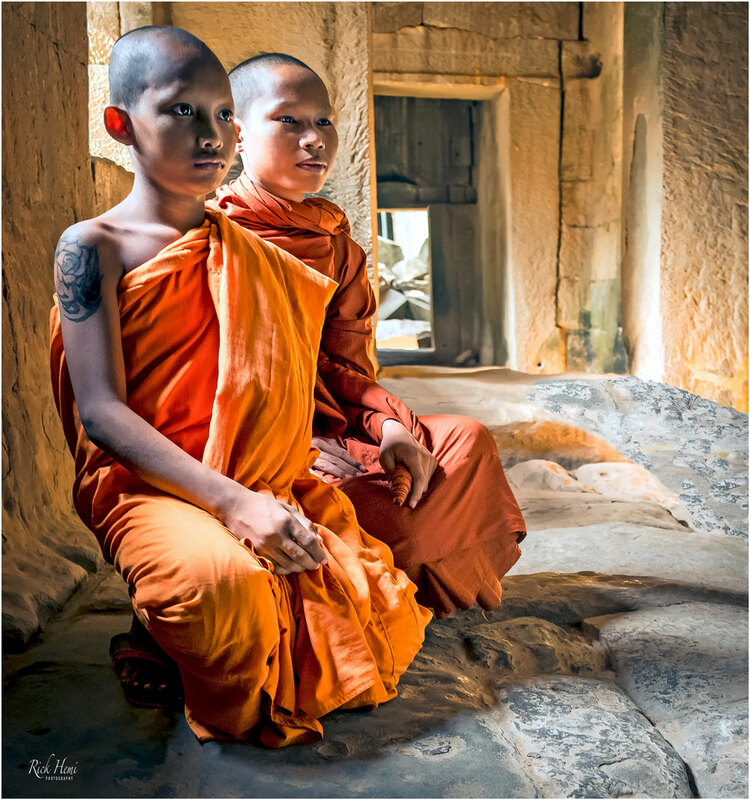 At times, the chances to photograph portraits inside temples can arise if invited to do so. Historical ancient temples like Angkor Wat and Bagan are just the opposite, and good examples of non-hassle photography to shoot your heart out all day. 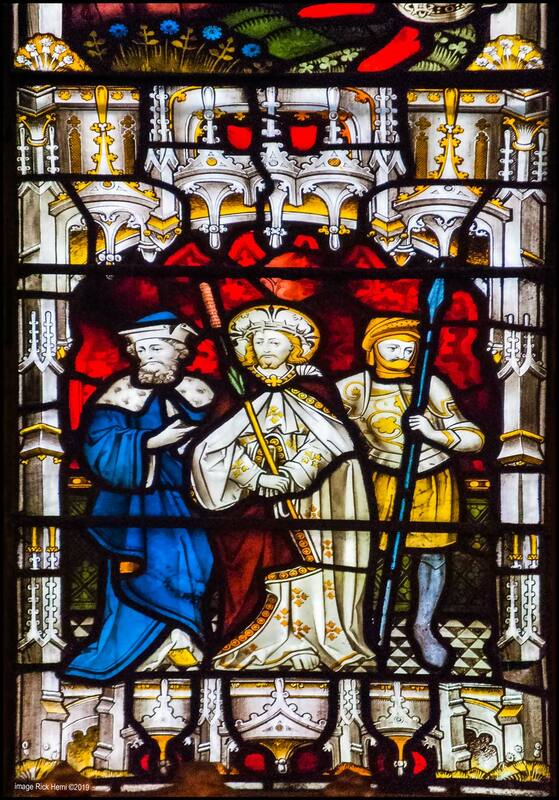 Above, one out of many huge gigantic preserved stained glass paintings inside a 19th century church in India showing the British colonial legacy. 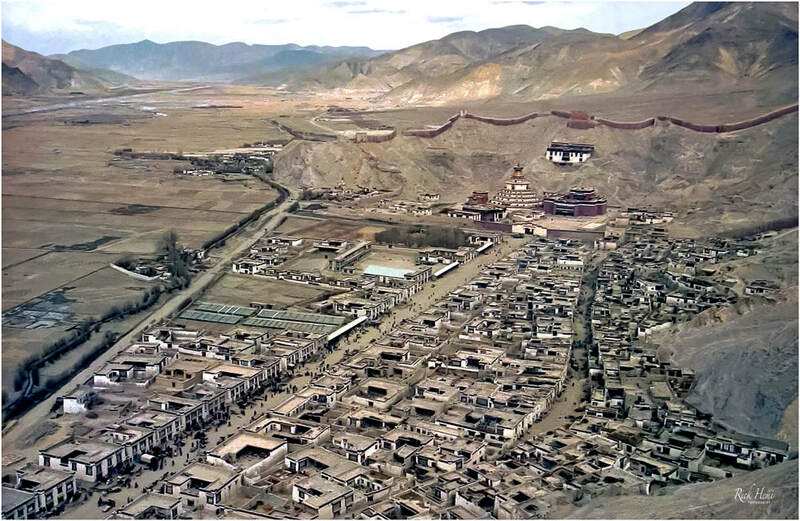 Above, an original classic snap taken on my 1st overland trip into Tibet showing pilgrims praying and prostrating, with incense and smoke billowing outside Jokhang temple in Lhasa. 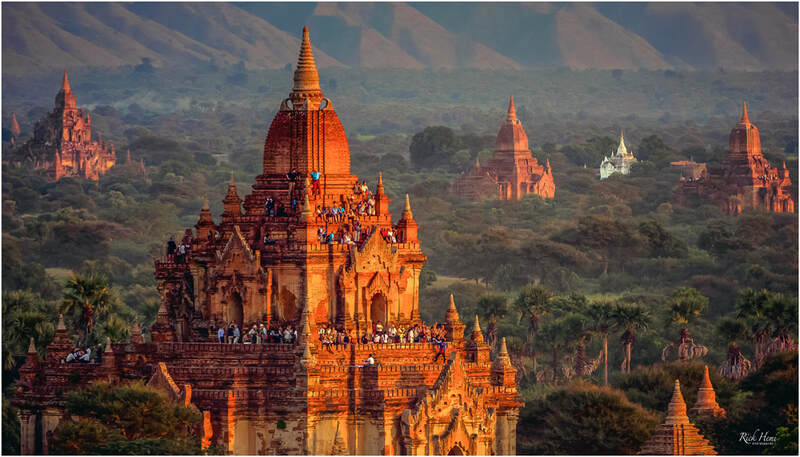 Below, pagoda paradise early morning snap at Bagan. It's now recently become a part of the overland transit routes in either direction from India through to Thailand. 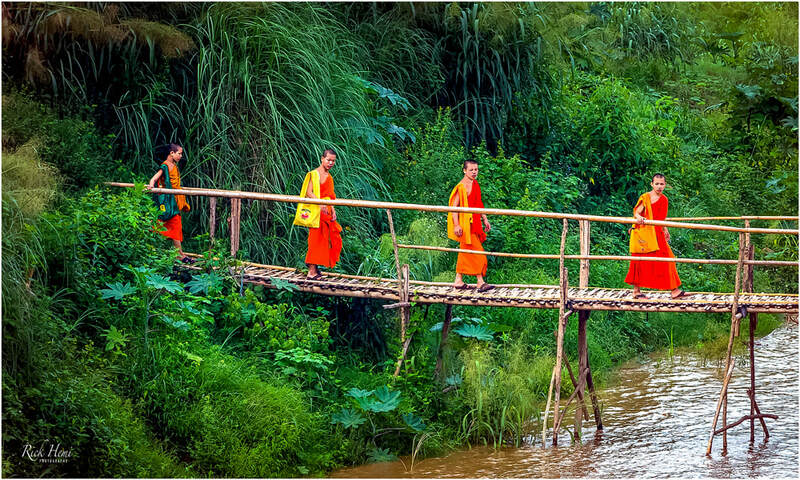 Photographing monks usually isn't an issue, although some monks and novices are camera shy. Taking snaps inside temples in Asia will depend if photography is permitted. Keeping distance and showing respect in temples should be considered during prayer worship This especially applies to Mosques. 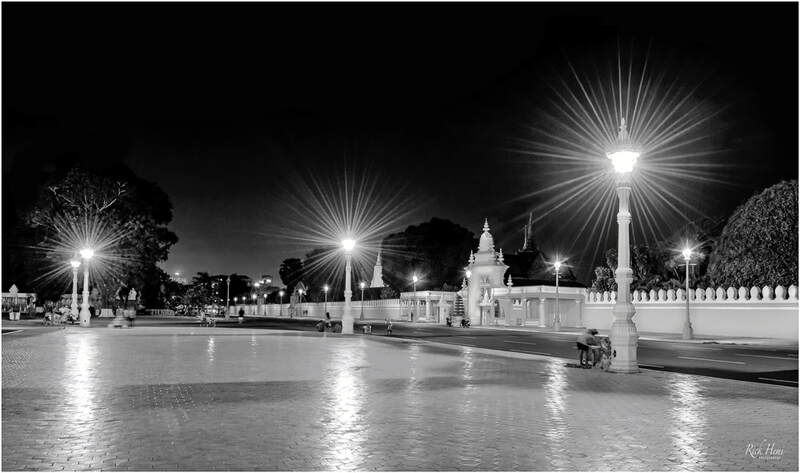 The capture below was taken from a 40 metre distance through an opening at the side of a temple that had enough light reflection. 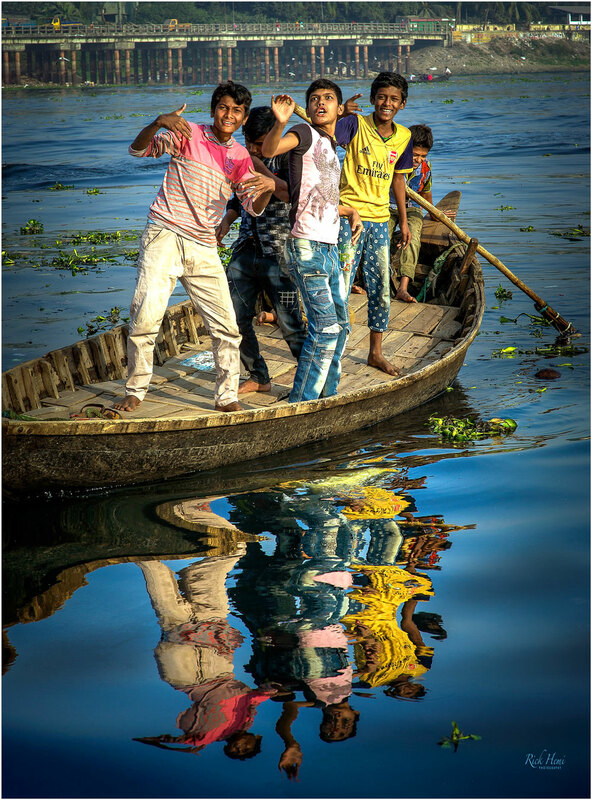 As it has always been anywhere across the continents, rivers are a focal meeting place for everyone. 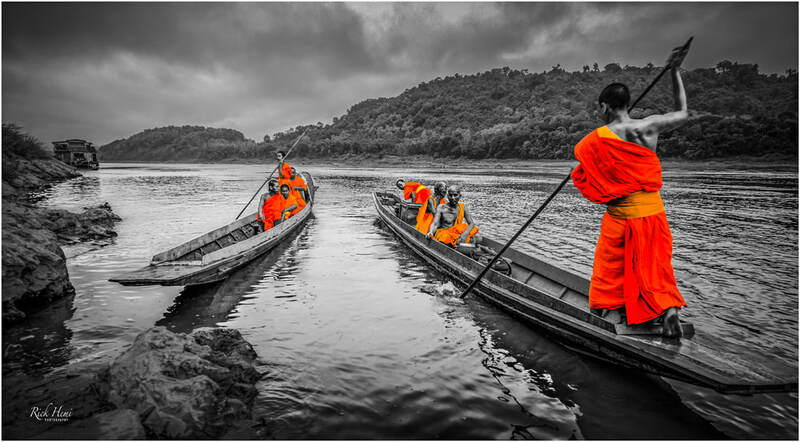 Asia has plenty of waterways, estuaries, and rivers to visit, but one river especially stands out more than all the others - The Ganges. It's here where Hindus congregate, and perform their religious rituals. On the banks of the Ganges at Varanasi one can find Sahdus along the different Ghats from dawn to dusk - which is where this image was taken. Like all continents the festivals are many, with Asia topping the scales of multi mixed celebrations, and endless open air events that are held annually. Some major festivals run their course over a week, and attract ten's of thousands of locals from far and wide. 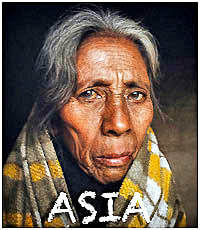 This also includes India's north eastern tribal communities who celebrate the tilling and farming of their land. 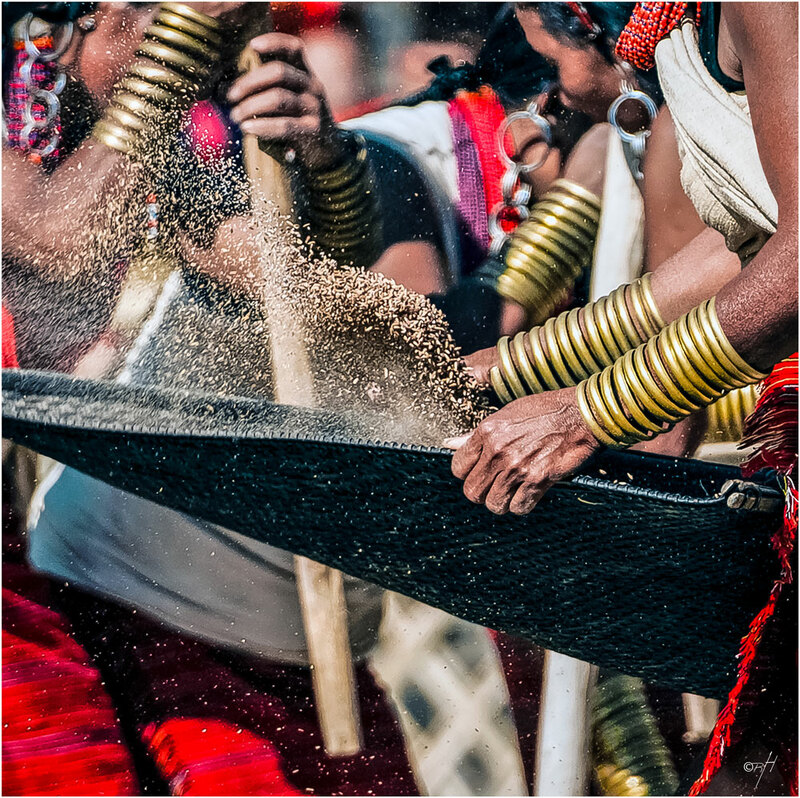 The above image was taken during a Naga festival event that shows a tribal group demonstrating the art of sifting shaff - Nikon D3, AFS 200-400mm f/4 G VRII, tripod mounted. Where there's a water estuary - there's always an untold amount of images to capture. Early morning before sunrise most Asian river estuaries are already in full swing. 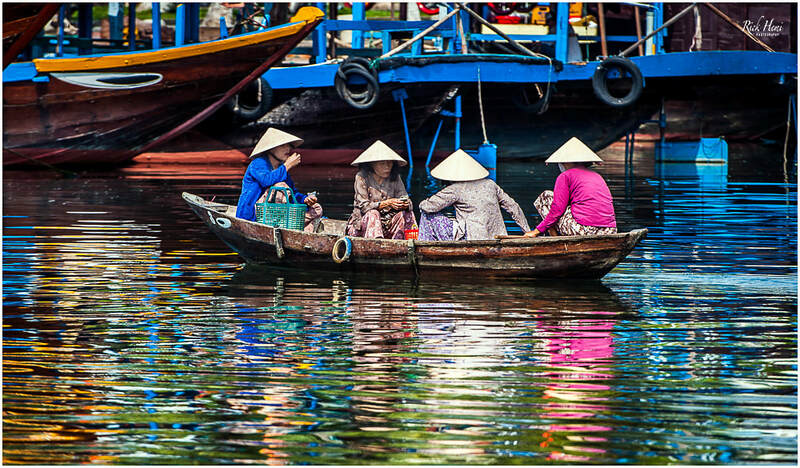 Local fisherman, water taxis, and harbour markets are normally buzzing with sellers, and buyers purchasing fresh fish products. It doesn't matter which country, or what port or estuary location it is, they all have the same ambience - Hectic and flat out with most locals on steroids. The above image was on the edge of an estuary and captured in the early morning. 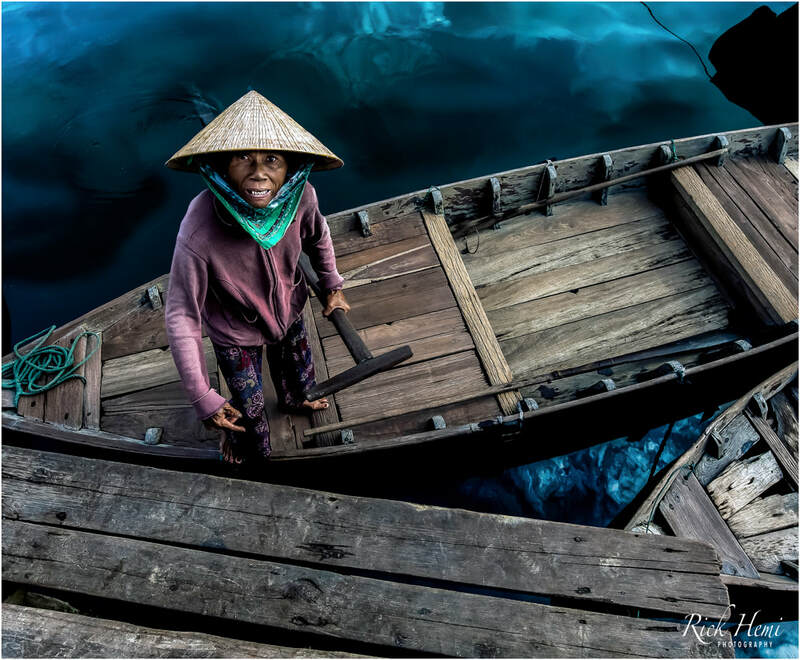 Below, a quick snap of a local boat operator offering a lift down river. 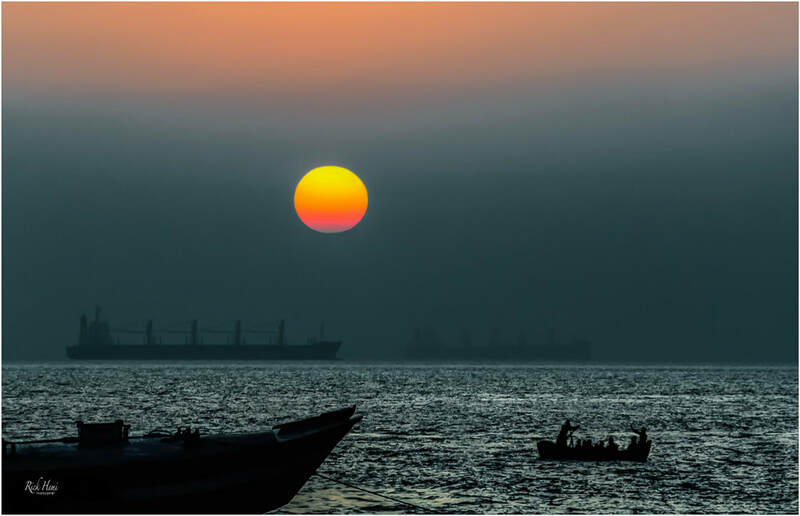 Large ocean freighters, cargo and passenger ships have been dismantled for decades in Bangladesh. The ship grave yard is scattered along a secluded bay on the mud flats situated south of Chittagong. Visiting inside the ship yards are still permitted, but any photo-gear, including cell phones, or anything that can take images is strictly prohibited and must be left with security guards at gate entrances. Early morning captures can be done outside the ship yards without much fuss, but there is a presence of invisible eyes watching. 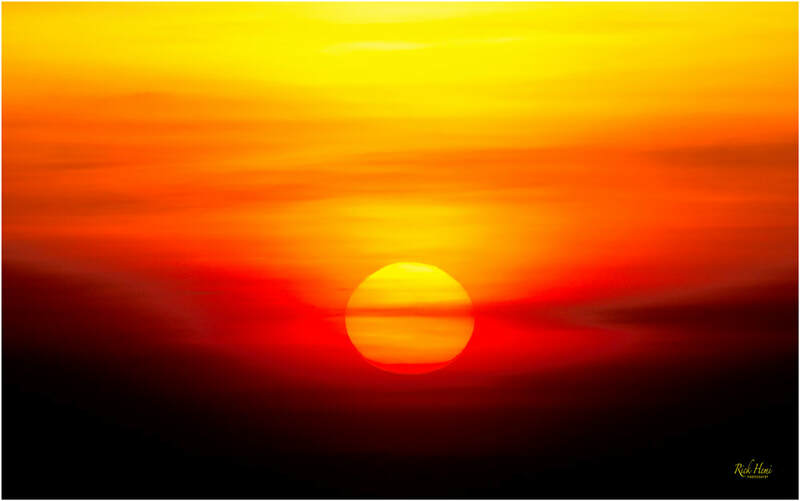 In the winter months (December-January) the sun rises in the correct position for light exposure. 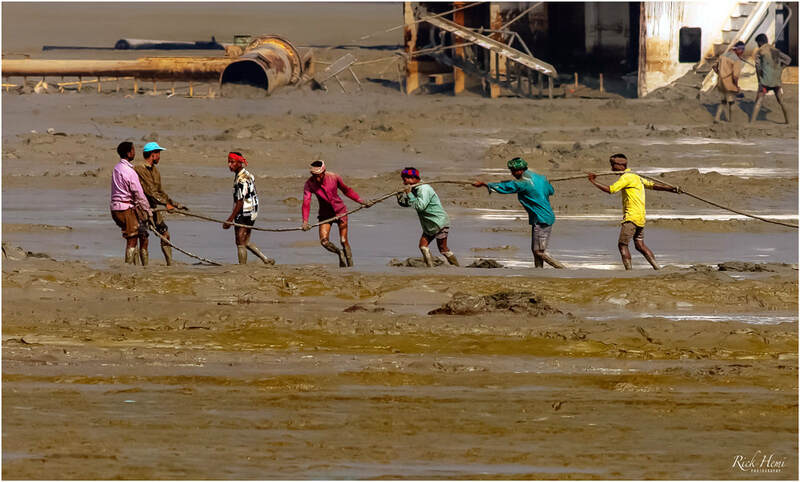 Arriving either early in the morning or late afternoon will give the options to see local shipyard crews wading through the mudflats with wire strops that are manually dragged out and attached to cut-off sections of ship. This is done like clockwork everyday to follow low tide movements. On the high tide, the cut-off sections of ship are then winched to shore. The possibilities of hiring a dugout to float outside the shipyard zones is permitted, but this is definitely at your own risk. 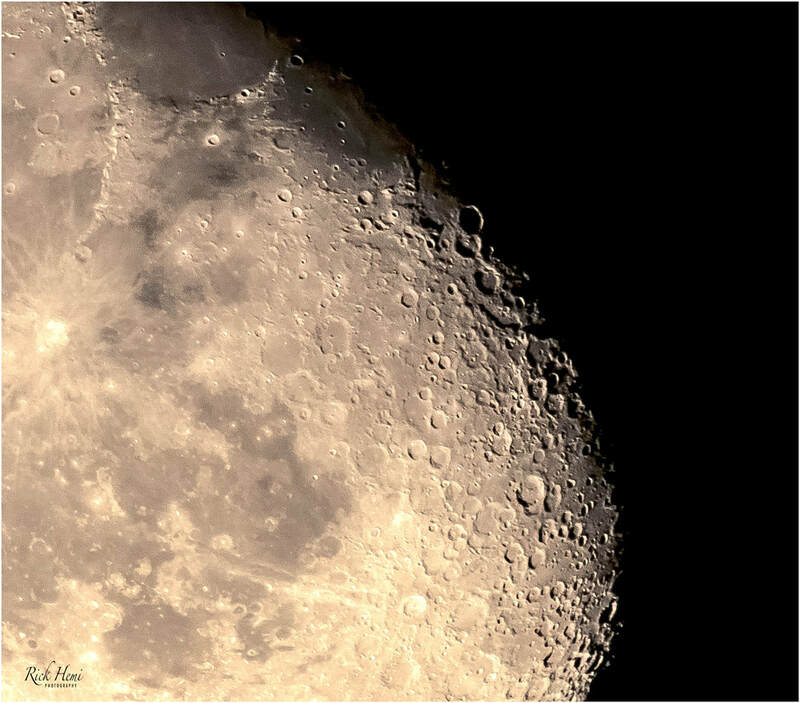 The images shown here are crops from the original files, and were taken with an 800mm Nikon lens mounted to a tripod. There is also a large ship breaking yard in India (Alang), but permission with an issued permit is required. There are some who do sneak around the backside along a side road before the security gate entrance, and pay a small bribe to enter into a yard - this is done at your own risk. If caught, all photo-gear will be seized, including a fine, and possible deportation out from India. My advice - get a permit. A few western funded NGO's have really created an anti negative atmosphere in and around the Chittagong region. I was followed by locals watching and observing what I was photographing, and then questioned me several times why I had photographed certain machine shops in the industrial area. The ship breaking yards have the same presence with anyone who photographs ships being salvaged by working crews in real time. The concern of safety for salvage workers has been an issue for ship wrecking companies. The majority of large container and cargo ships that are being dismantled at Sitakunda have actually belonged to western ship companies who pawn their used sea junk off to Bangladesh. The images shown are mainly cargo ships that are being slowly dismantled bit by bit, piece by piece. Using a long tele lens will capture images like these from the pier - which at the moment is still legal to do so. A partially dismantled cargo ship showing its exposed engine room compartment with salvage workers off-loading an assorted mixture of items. The sparks from a gas cutter spraying billows of molten flint as a worker inside gas-axes his way through a section of outer ship panel. The sections are then winched back to the shore line with cable strops. Below, a view taken in the morning at the end of a public accessible pier jetty. A dugout can be hired to get along the backside of salvaged ships which are scattered 12 kilometres along this particular beach. It's not advisable, and actually prohibited to enter past the rear of any of the beached ships on the high tide. This can and has been done, but it is at your own risk with no assurances of safety. You just never know who you will meet down a side street or along a highway. I met these two Sadhus in a remote Nepali village who were heading by foot to Pokhara from the Lumbini region. Well made designer jewellery is easily found throughout south east Asia for one 1/3rd of the cost compared to western prices. Silver bling is as cheap as it comes with many vendors offering personal custom designs made to order. 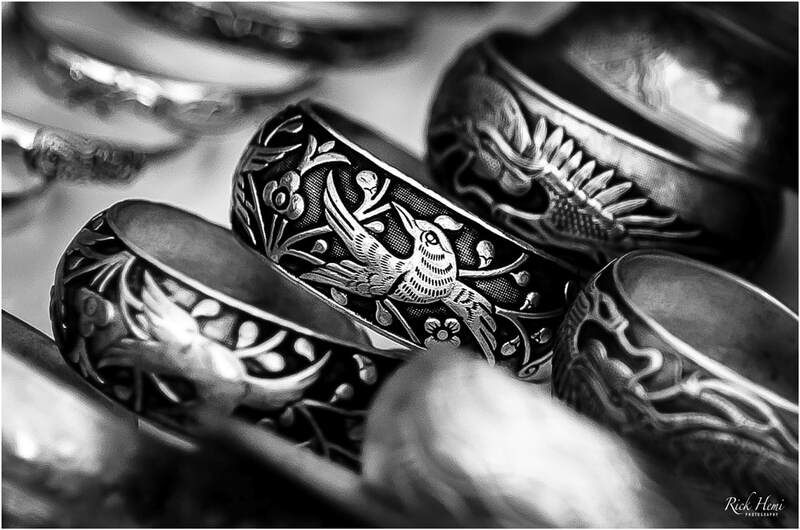 Nepal, India, Laos, and Thailand are overflowing with different jeweller shops and boutiques found in trendy tourist spots. Rubies, sapphires and precious stones are also plentiful. Anything of value purchased, including gold should come with an authentication certificate to validate the purity of the item. Individual jeweller sellers who roam the streets pawning off large sapphires and rubies are actually selling fake flame fusion glass replicas. Shopping around comparing prices and quality before purchasing is recommended. If you know how to identify the quality of authentic uncut gem stones, then Myanmar is the best place to purchase them. 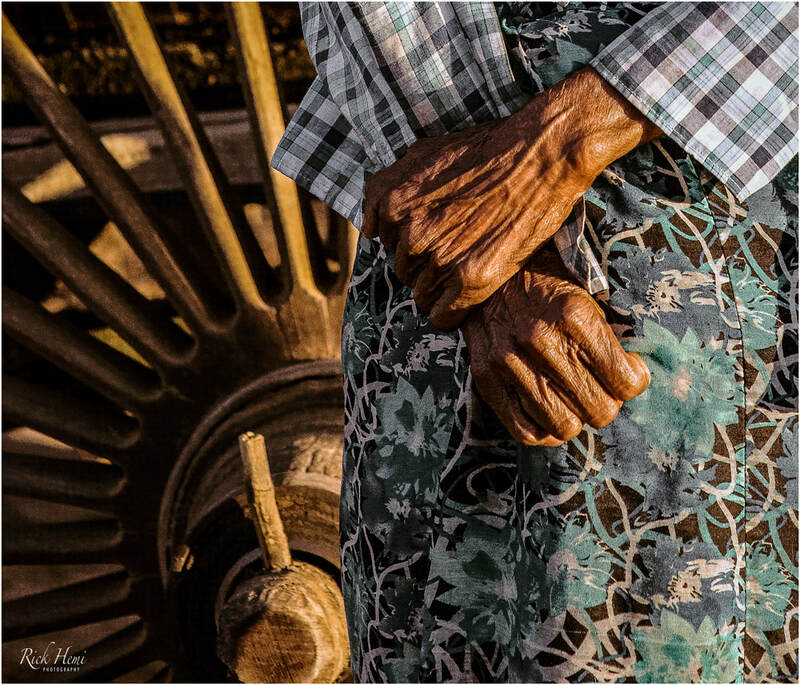 Manually crushing rocks by hand by women labourers is witnessed in many countries throughout the Asian continent for construction and road repair maintenance. 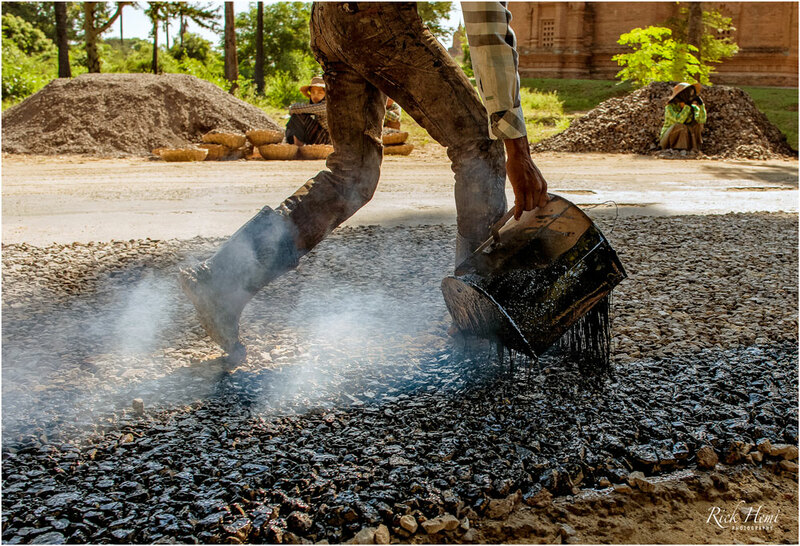 As soon as a new layer of crushed stone is laid and rolled, it's then sealed together with hot tar extracted from a close-by hot fiery 44 gallon drum. The tar is then spread evenly across the surface manually with a hand-held bucket. While most run for cover to shelter themselves when downpours occur, this is actually a rewarding time to head out on to the street to capture some great images. Monsoon weather conditions are prime with heavy rainfall that can continue non-stop for days on end. Depending on what photo-gear is used, the lens will need protection to stop rain drops, and spray reaching the front element. An umbrella does work, but hand holding a DSLR with one hand with an umbrella in the other hand takes a little practice to master in pouring rain. Control and aperture settings will vary for each shot, including grabbing focus. Carrying a few cloths to wipe away rain droplets on the front element will be needed which can't be avoided. It's also recommended to wipe down the lens and totally dry out the lens before it's placed back in the camera bag. This will stop fungus spores developing in humid climates. The above image was captured at 4am during the middle of a fierce thunderstorm in India. A tripod was used to get this image @ 30 second exposures. Below, a couple of young drenched novices who stopped for a quick snap before disappearing.